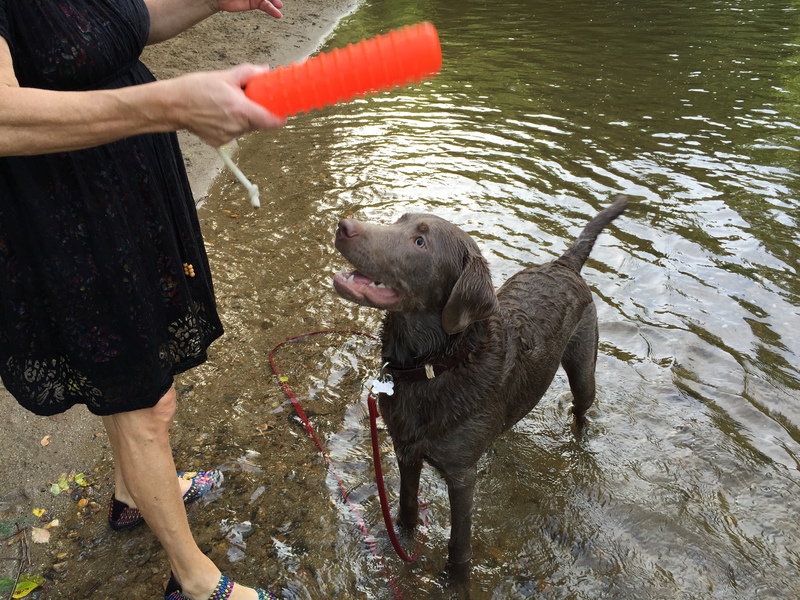 Dock Diving with Della from Kabler School For Dogs on Vimeo. 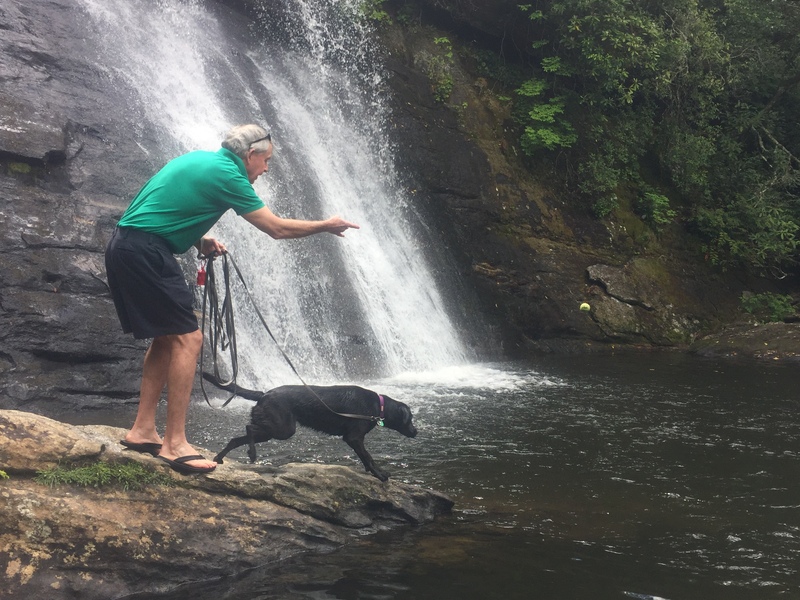 Tri-Cities, TN Kabler School For Dogs trainer Jeremy Bell and his Black Lab Della are having a blast this Summer learning how to dock dive at Western Carolina Diving Dogs. So far she has been out at the dock 3 times and is loving every minute of it. She has so much fun she hates for her dock time to be over. 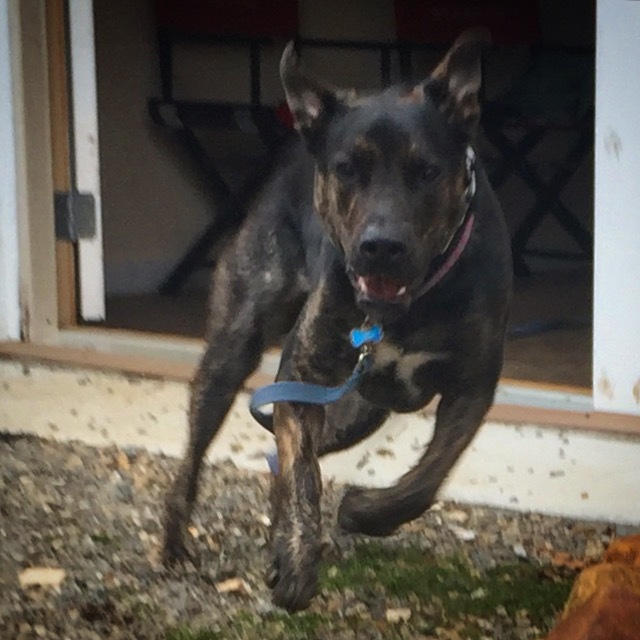 Each time she jumps her confidence grows and her jumps increase in distance. 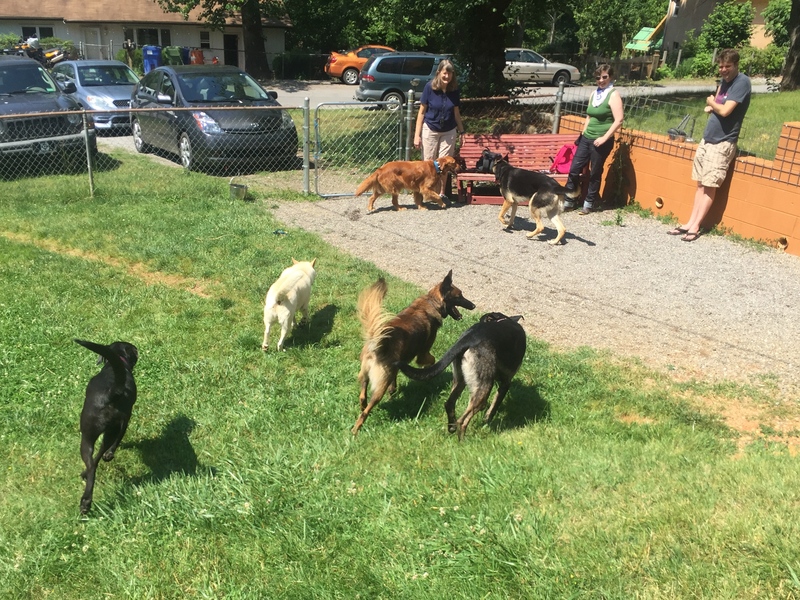 At Kabler School For Dogs we love seeing dogs express their natural drive through activities like retrieve work. 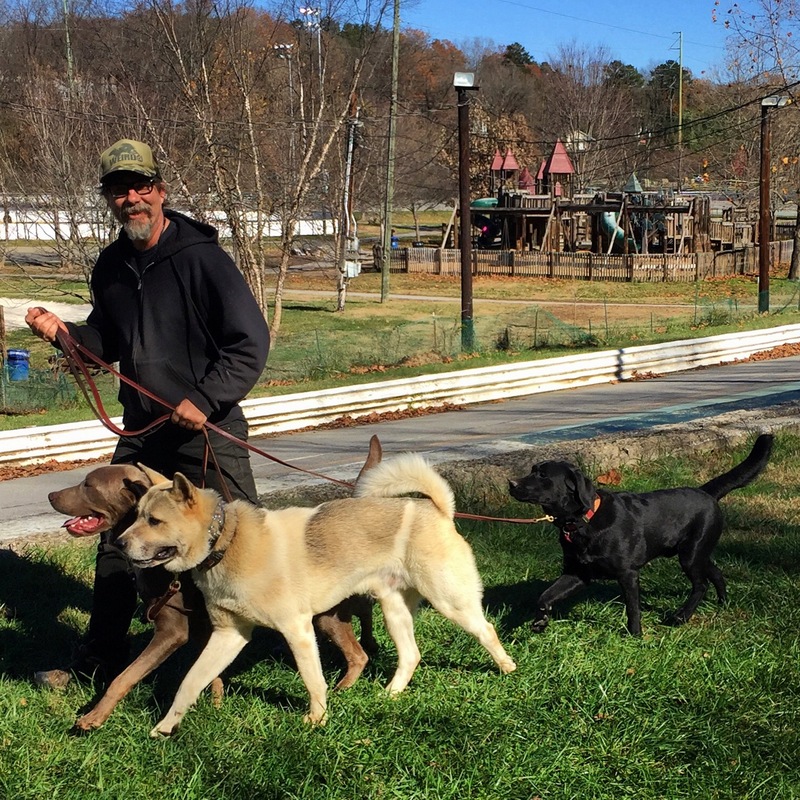 Satisfying your dogs natural drive through fun activities is a part of every Kabler School For Dogs training course. 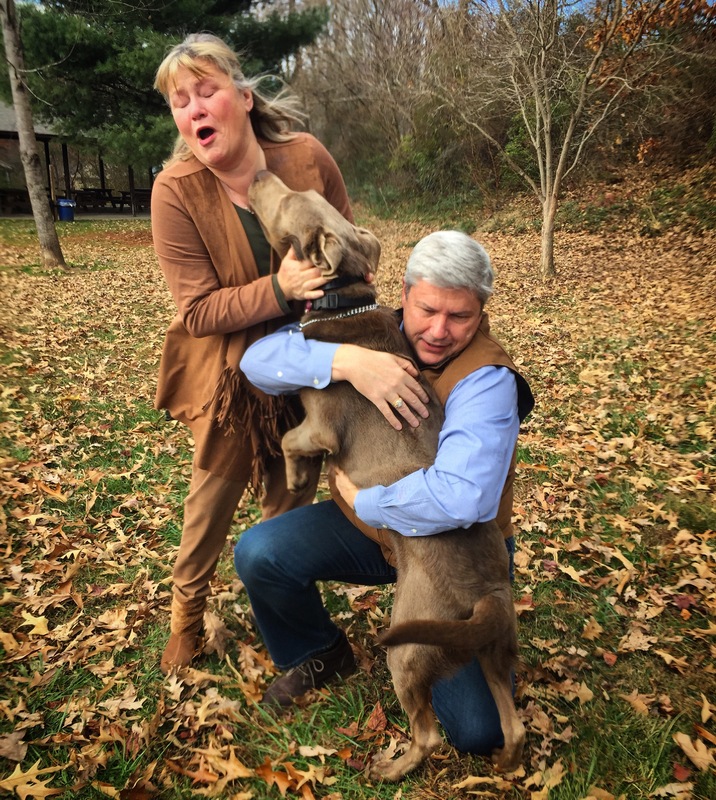 Please call us to find out more about the Kabler training philosophy and schedule your dog’s free consultation at (828) 337-5792. 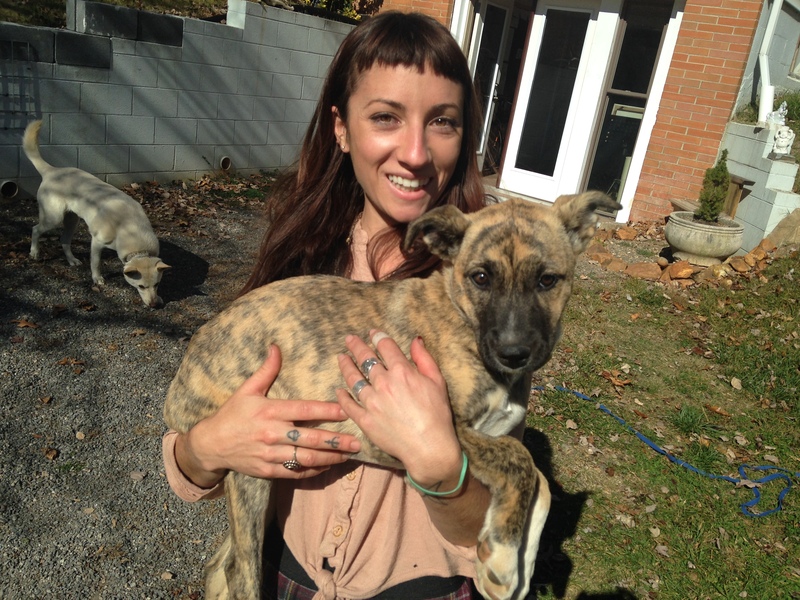 ← David Featured on WLOS News 13! 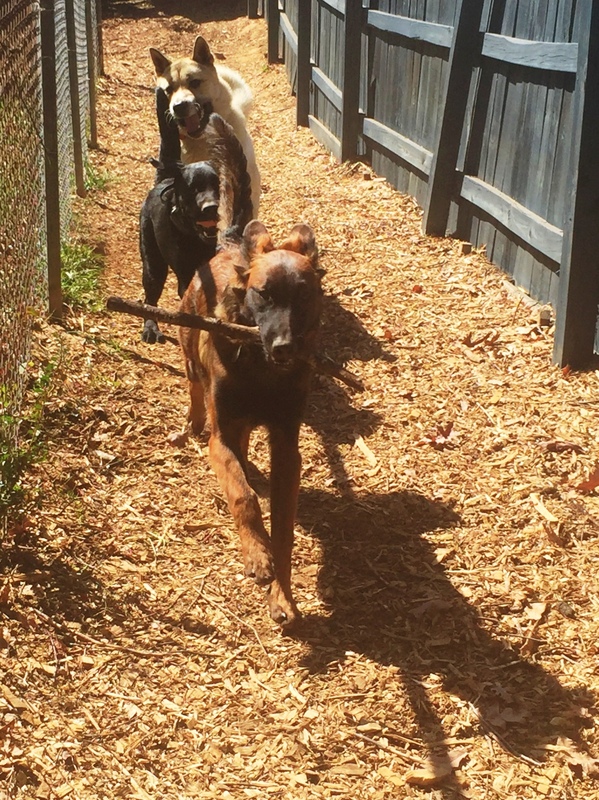 Lobo expressing his natural drive during a motivational come request exercise. 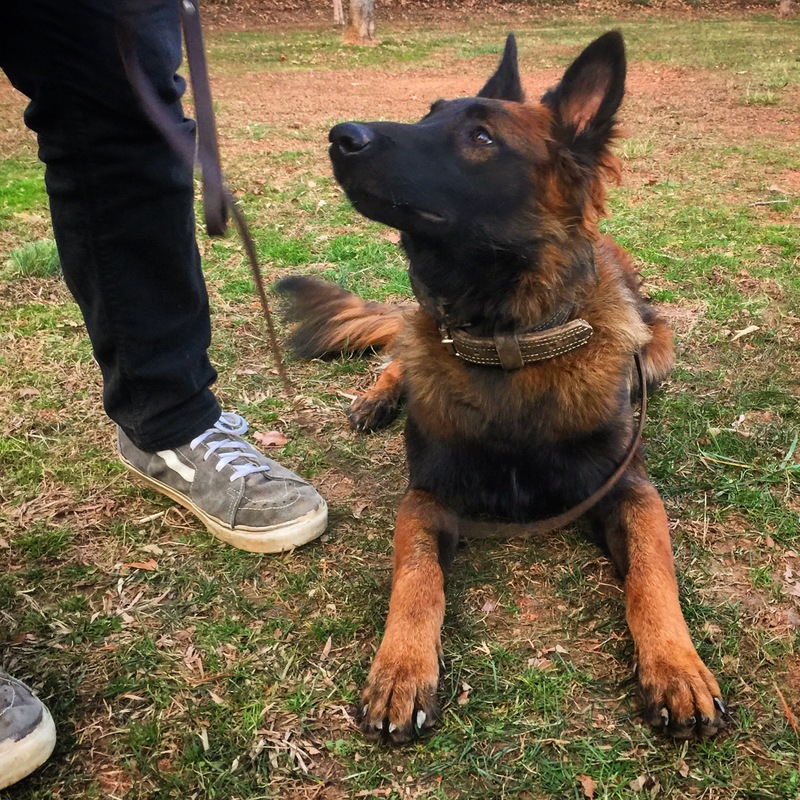 Lilly practicing a motivational recall request– look at that guardian focus! 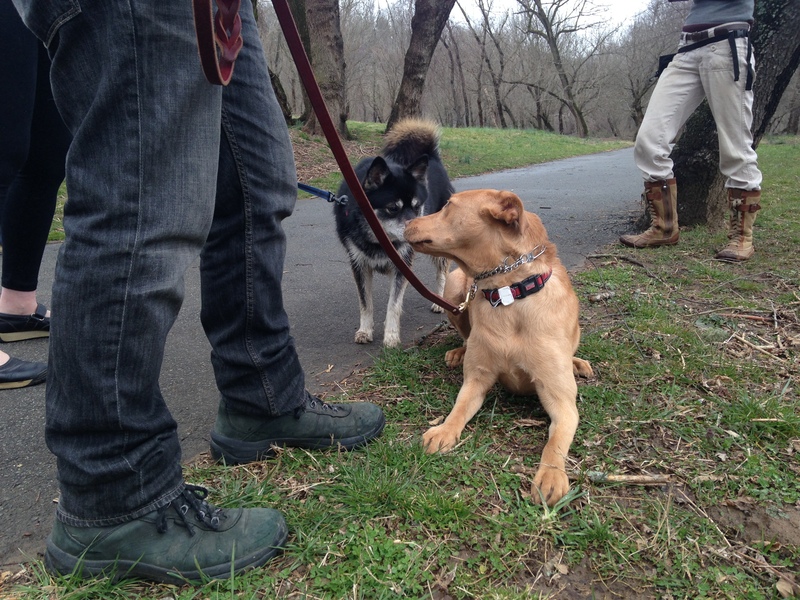 Ruby practicing holding her down stay request while a strange dog approaches and says hello. 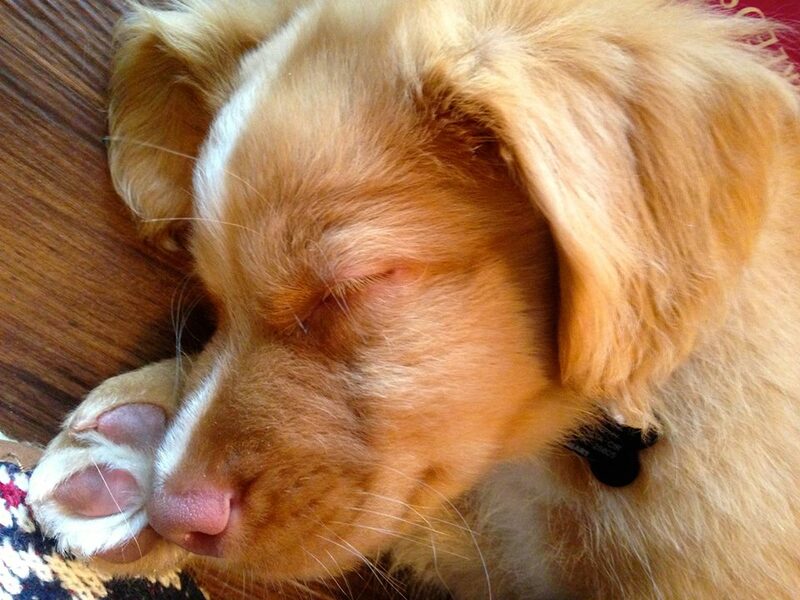 New puppies bring so much joy! 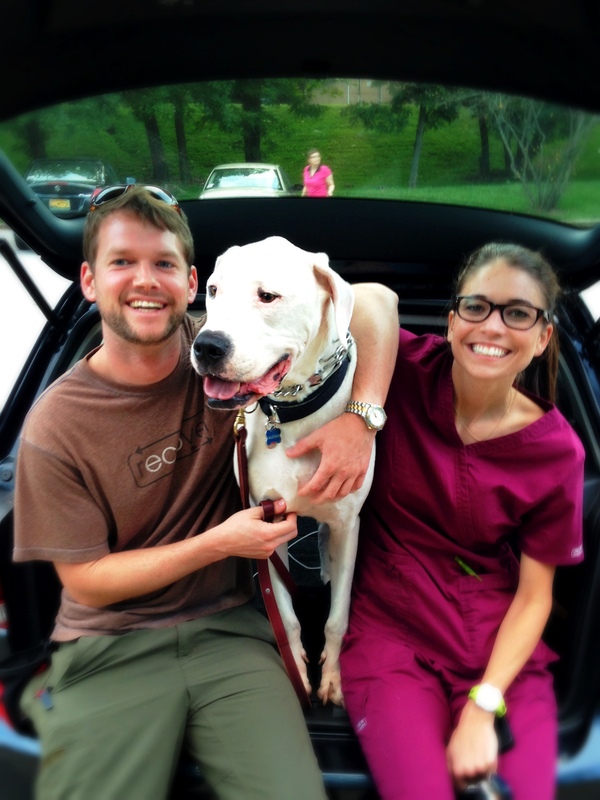 Rescued Dogo Alastair successfully worked through intense dog aggression in Kabler training. 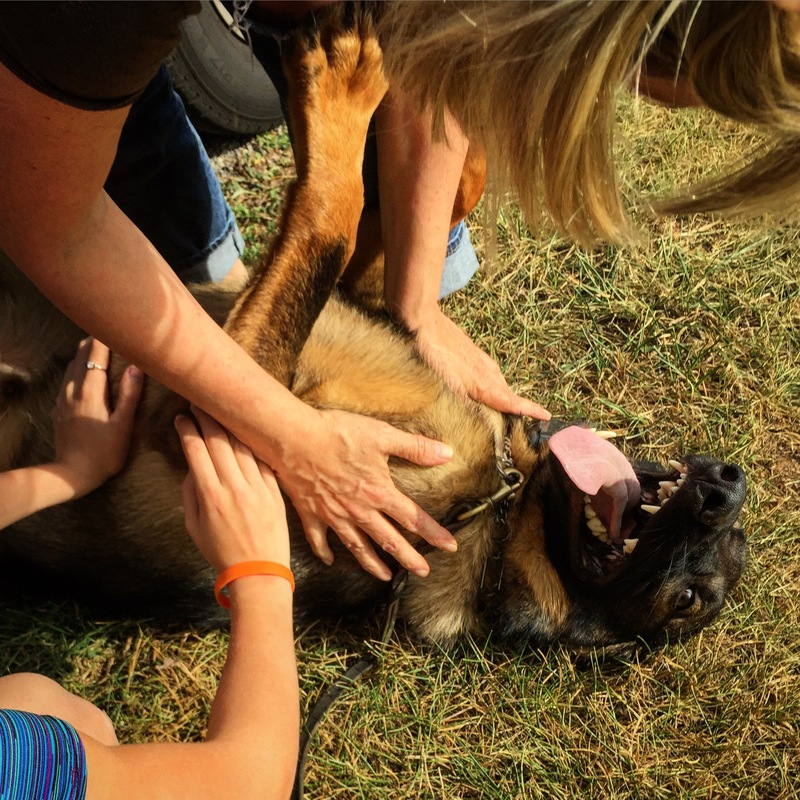 Residency graduate Tundra and his family practicing a motivational recall request. requests. 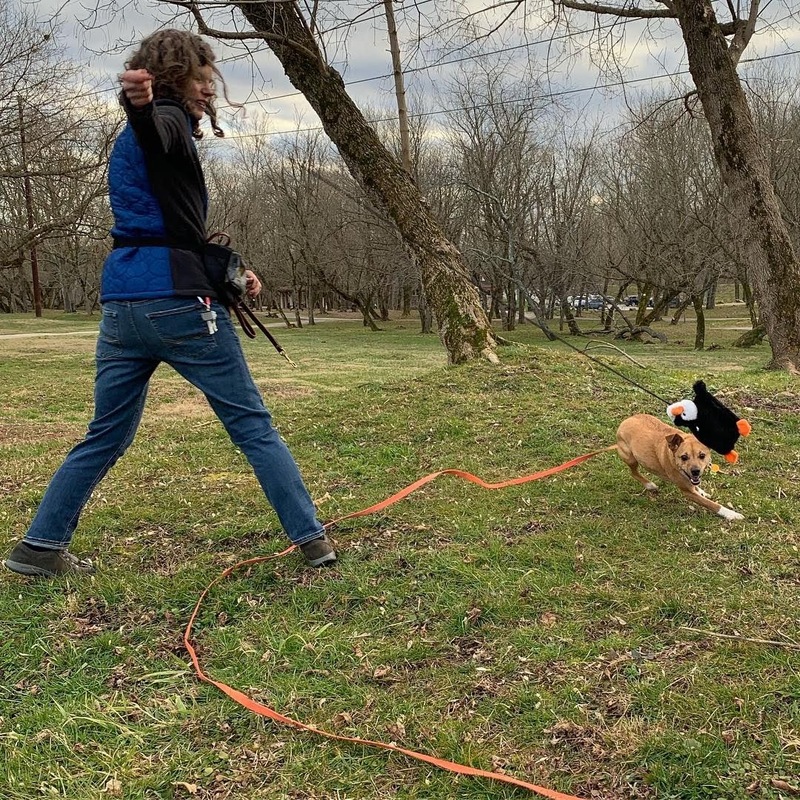 Lily learning to focus on her guardian during a training session with David. 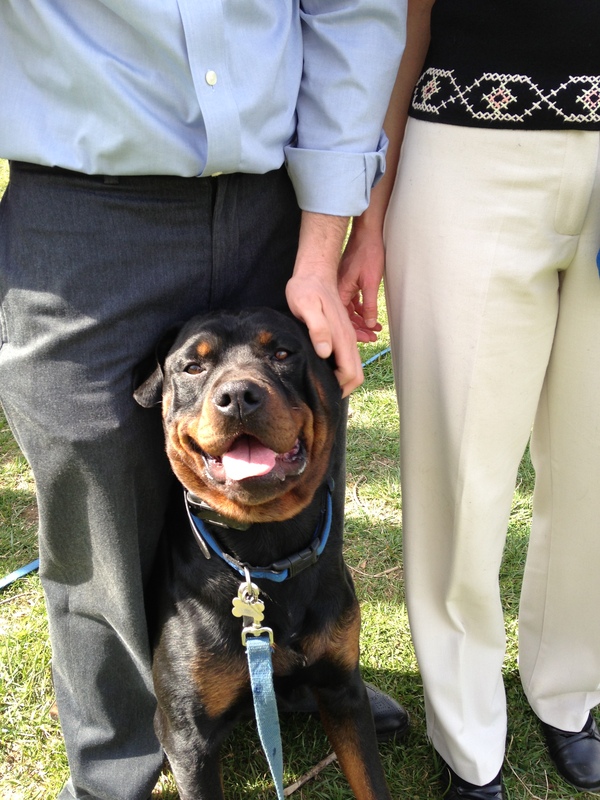 Residency guest Ollie excited to be reunited with his guardians after graduating from On and Off Leash Obedience. 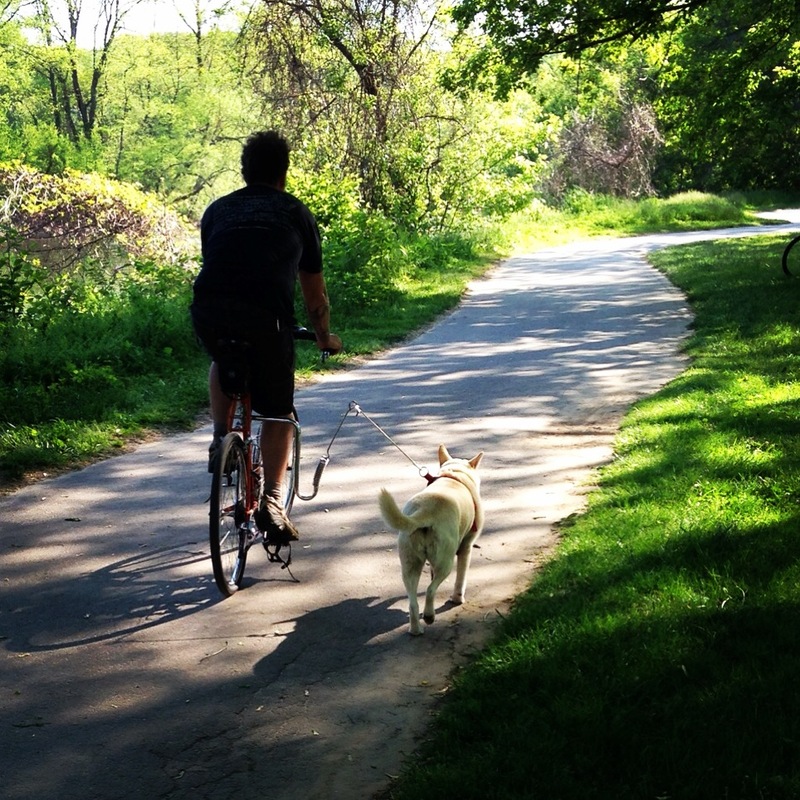 Biking with Summer during an introductory bike session with David. 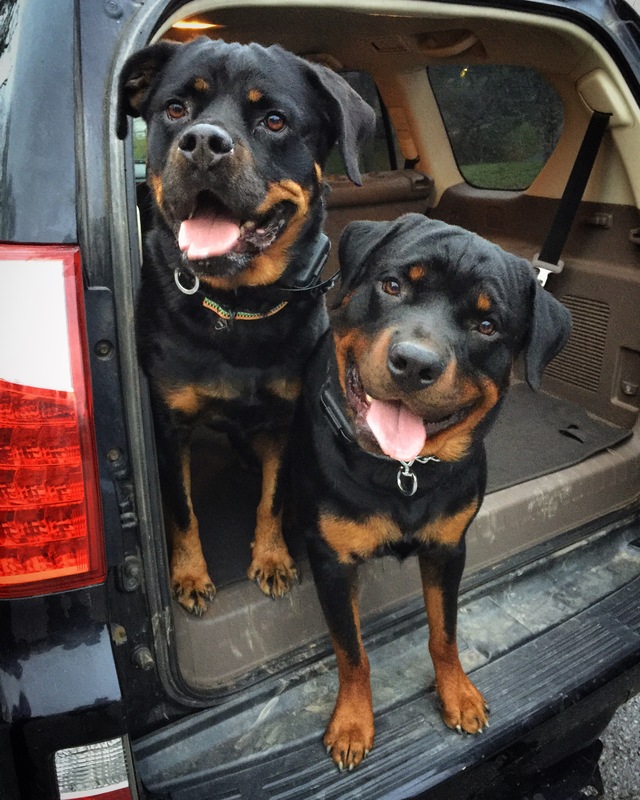 Buck and Sophia practice waiting for their release request in the car before training. 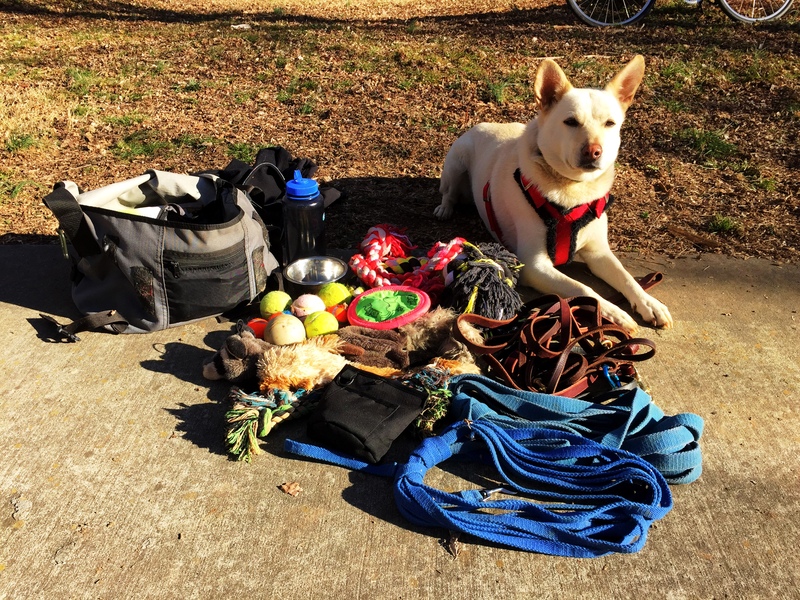 Residency pup Karma is so proud and learning her foundation skills. 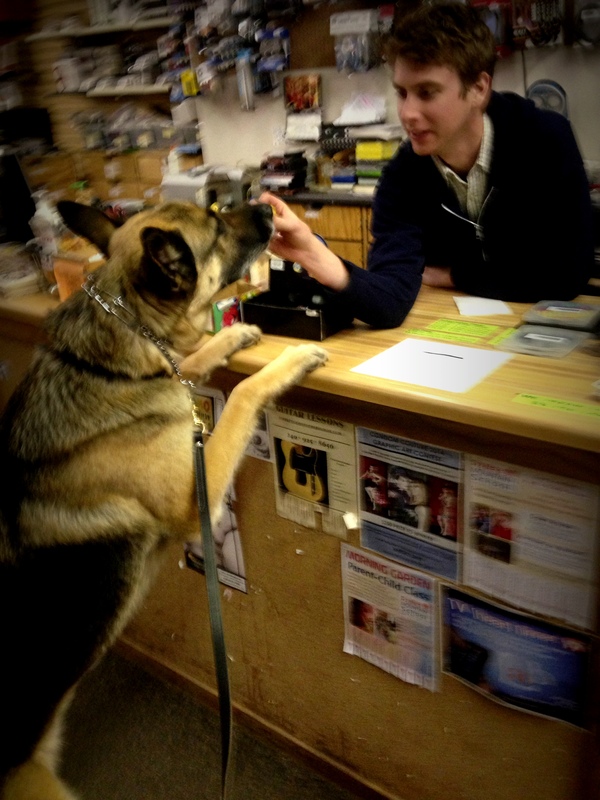 Shadow greeting the video store clerk for a reward on one of our outings. 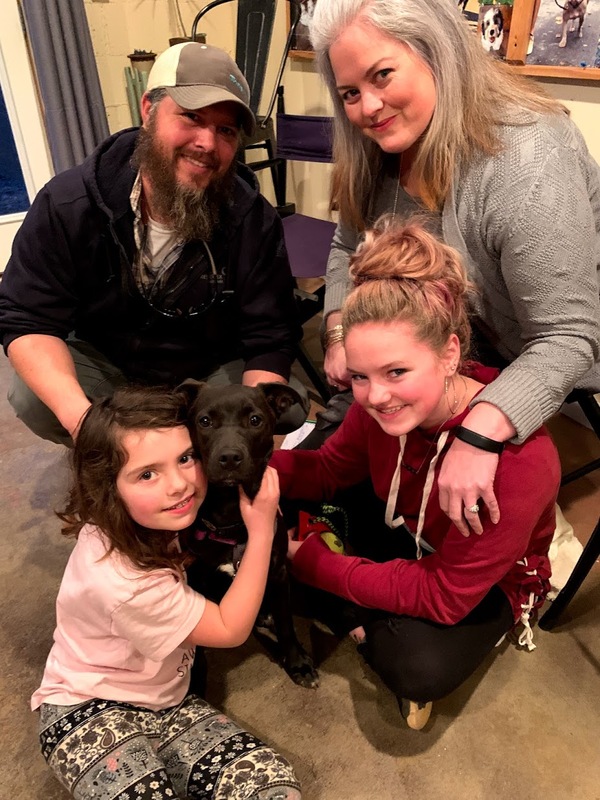 Otto and Jack and some very happy guardians. Park sessions are so fun! 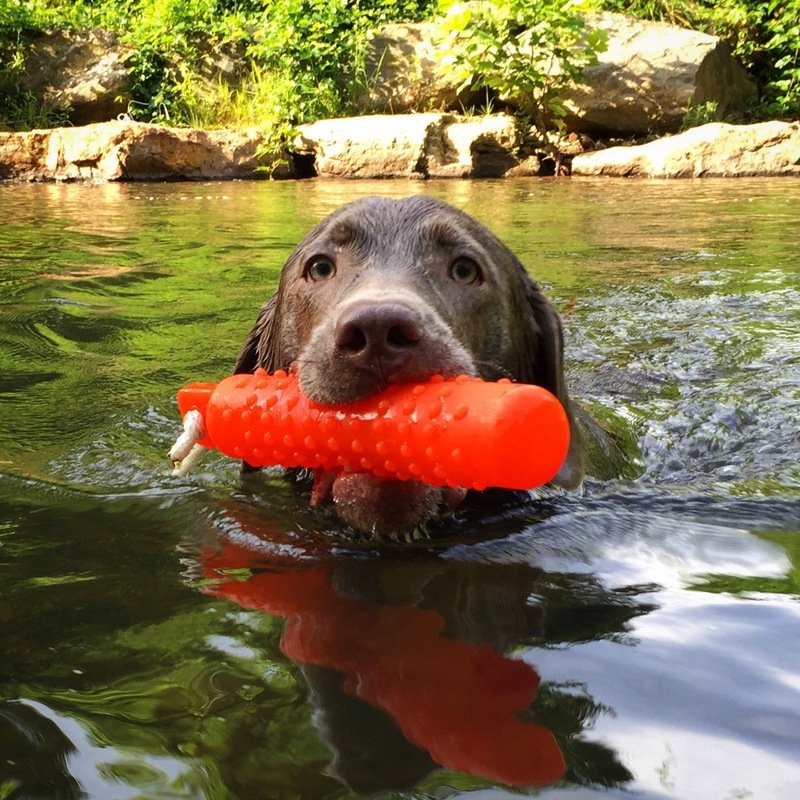 As Fury’s water retrieve confidence grows the distance of his swims also become greater. 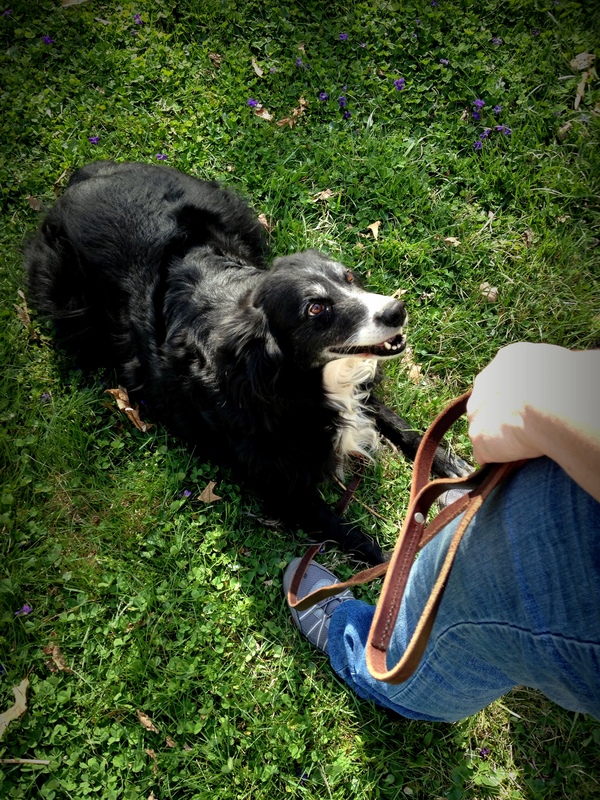 Daisy practicing a down stay request. 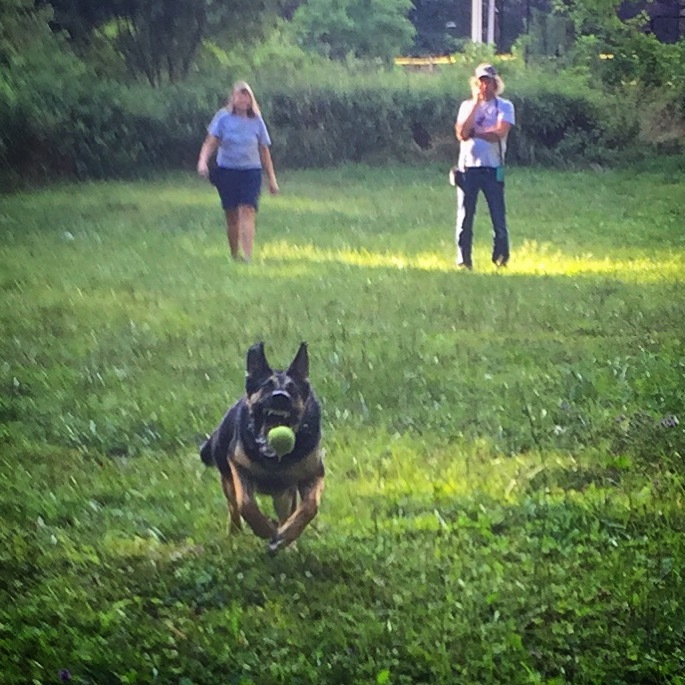 German Shepherd Leo playing a seriously fun game of retrieve during an off leash session. 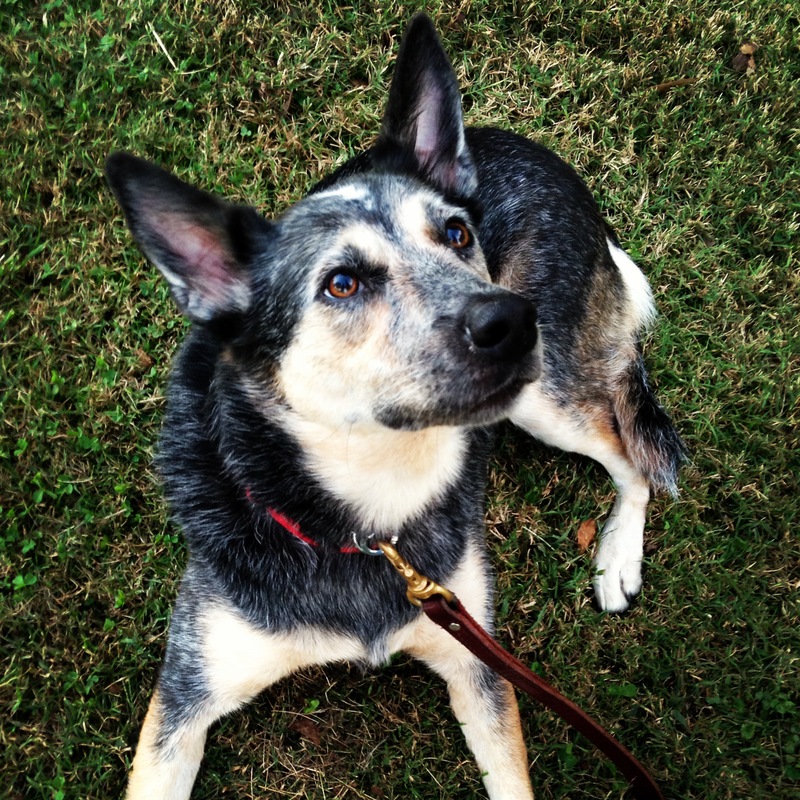 Cattle Dog Bindi practicing her down and stay request while waiting for a reward. David out working with Residency guests Ollie, Taku and Cato. 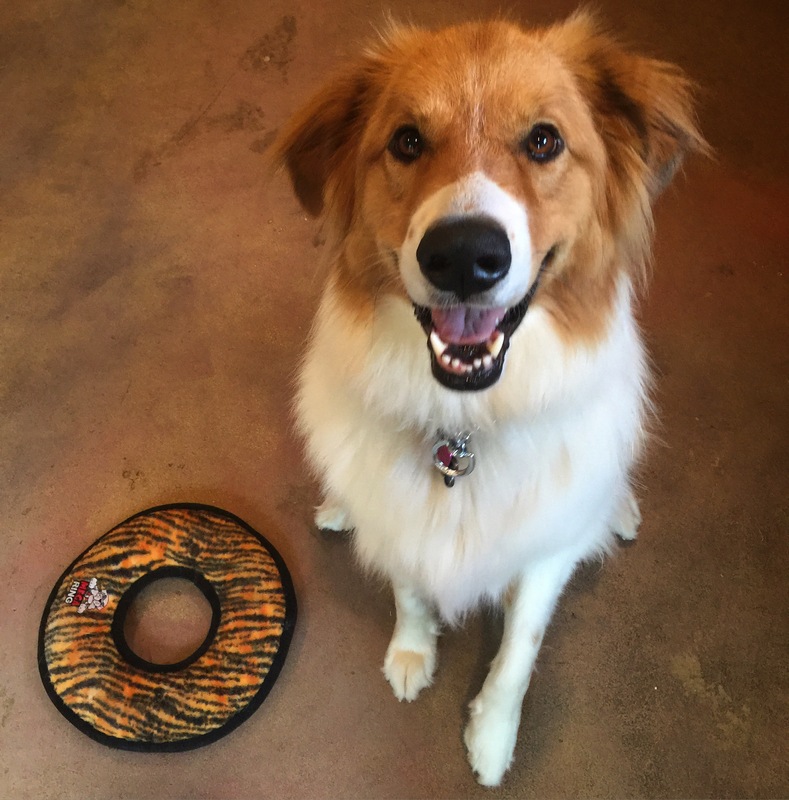 Collie/Pyrenees rescue Kona getting started with her obedience in the Kabler training studio. 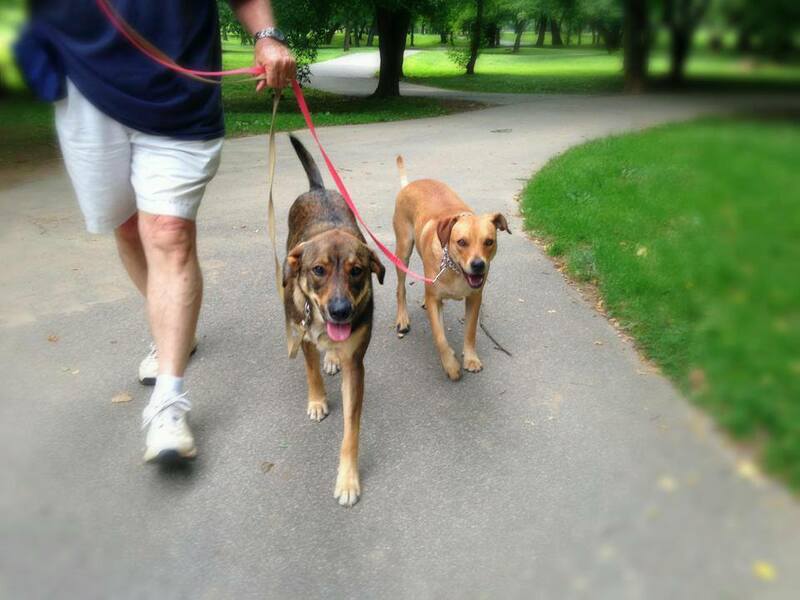 Otto and Jack practice their aligned walk during a park training session. 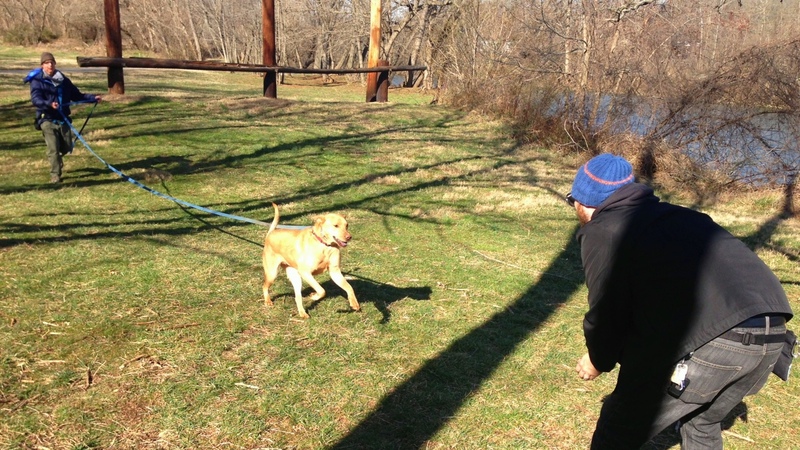 Huck’s young guardian playing a game of retrieve during a private off leash session with David. 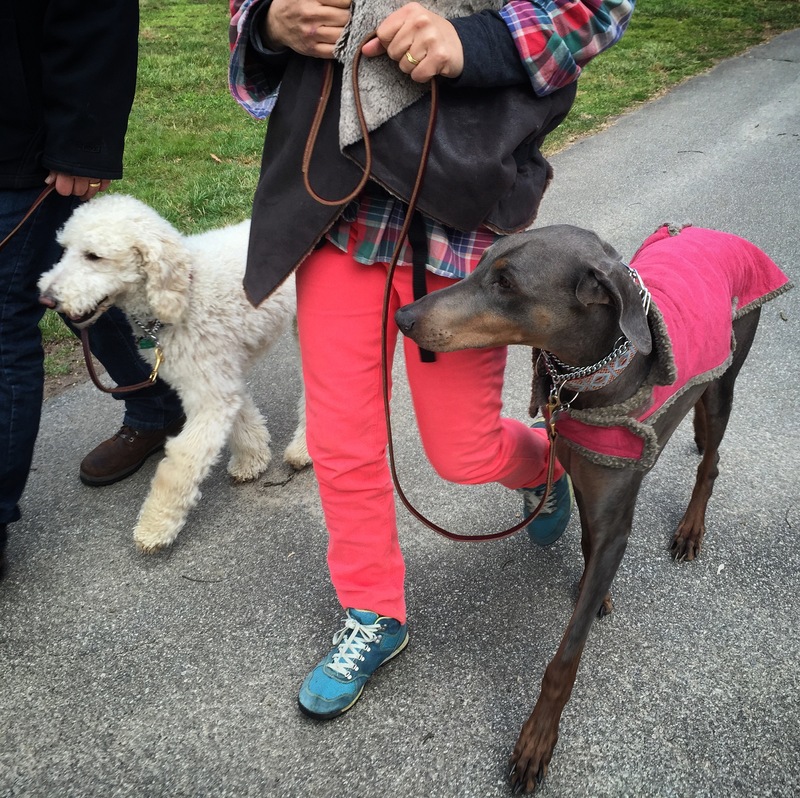 David’s invitation only group socials help your best friend learn how to run with other dogs. 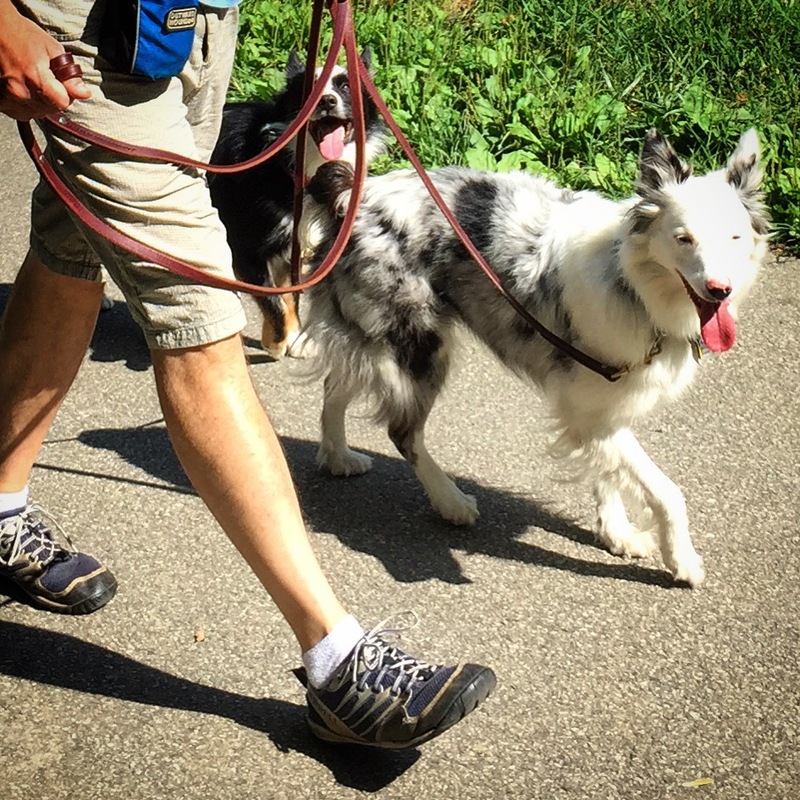 Off Leash Residency graduate Cato practicing his neighborhood untethered heel with David. 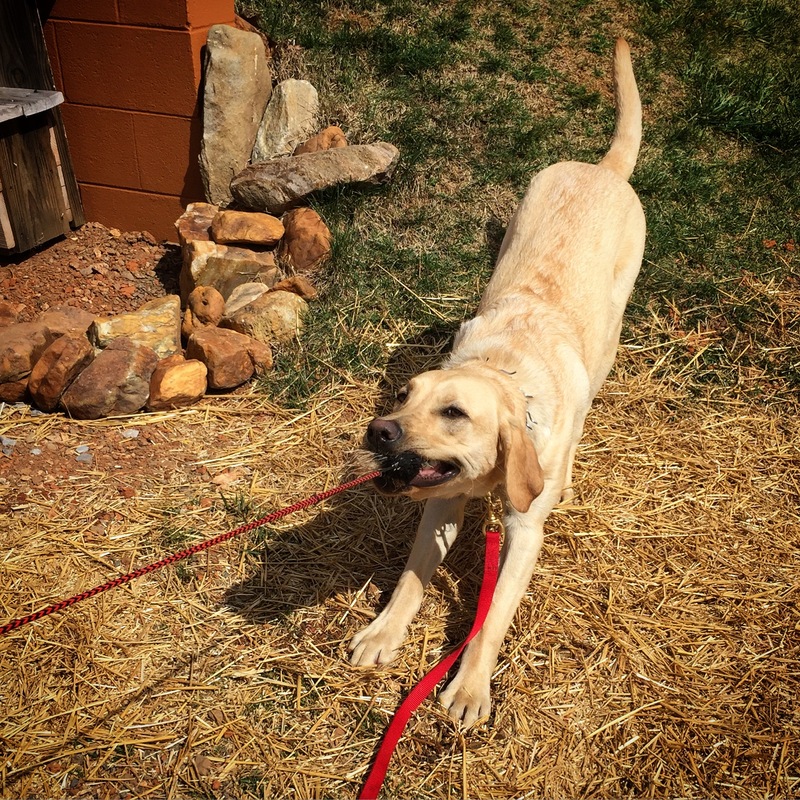 Arlo playing some tug after a fun obedience session. 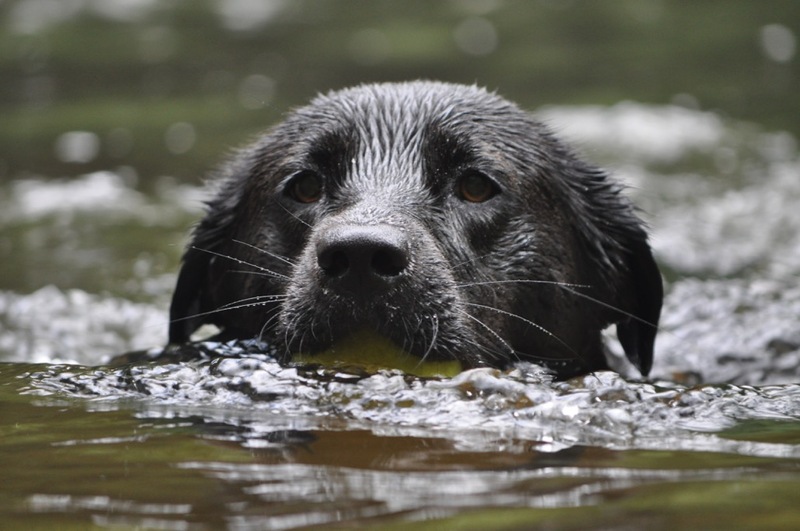 Playing Retrieve with Lilly during a private session. 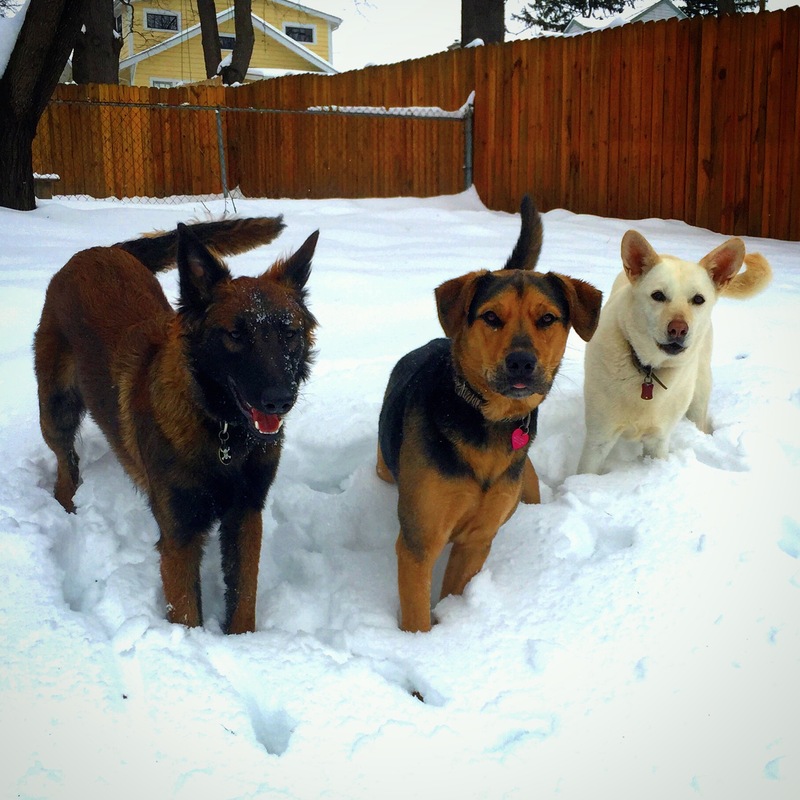 Fury and Daisy out in the snow with Residency training guest Sy. 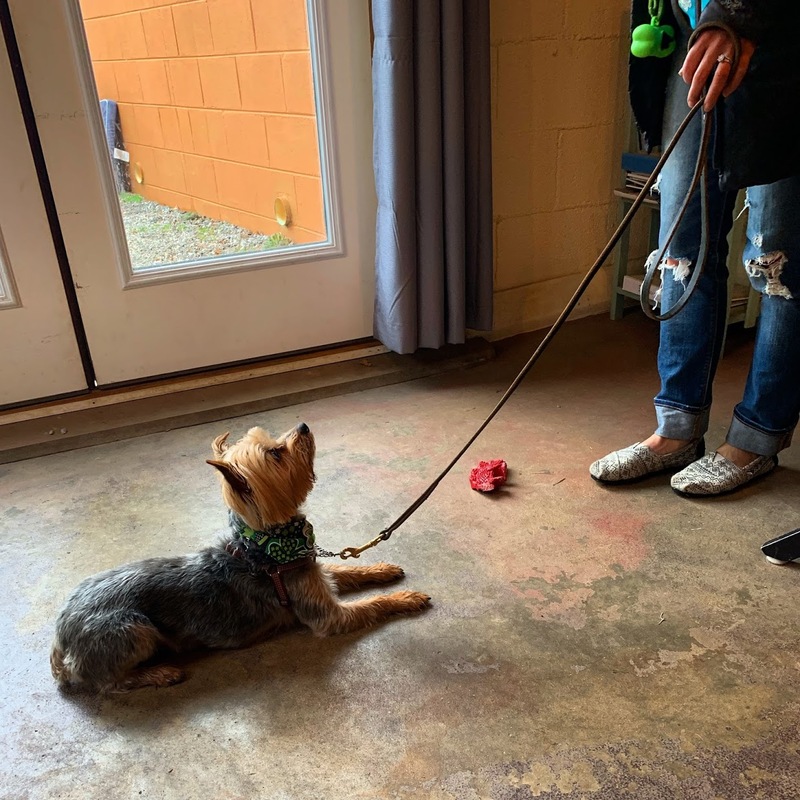 Norwich Terrier Comet having a game of chase and tug after obedience practice. 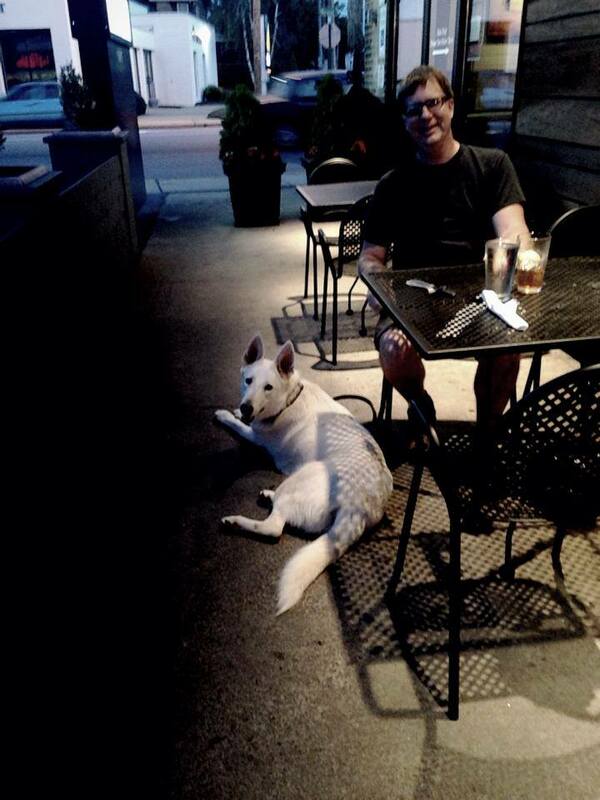 David out to dinner with Tundra in West Asheville. 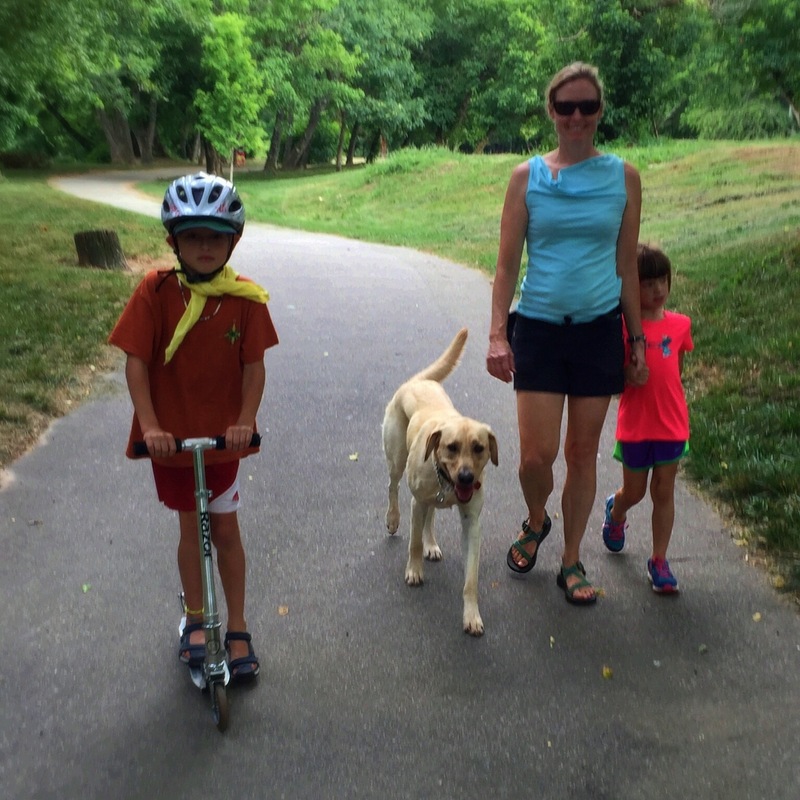 Yellow Lab Arlo and his family out practicing his off leash walk during an off leash training session. 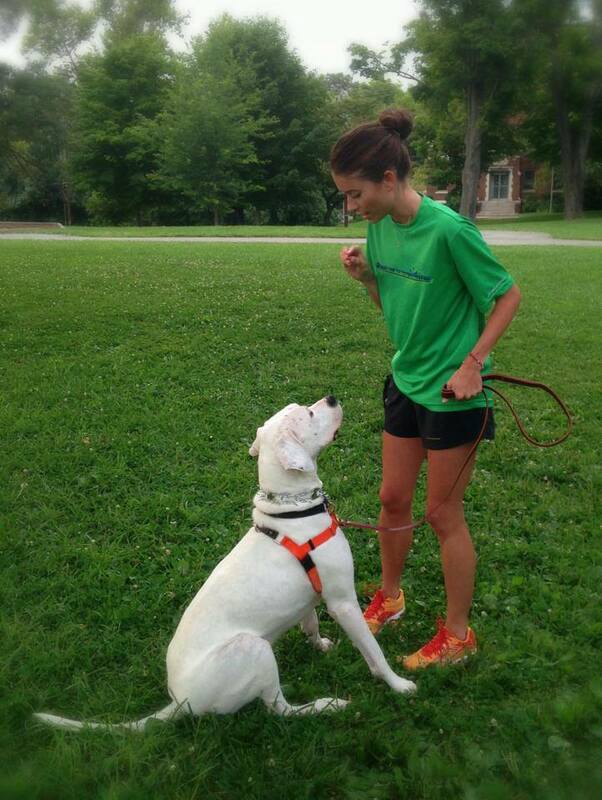 Practicing a sit request with Dogo Alastair during a private session. 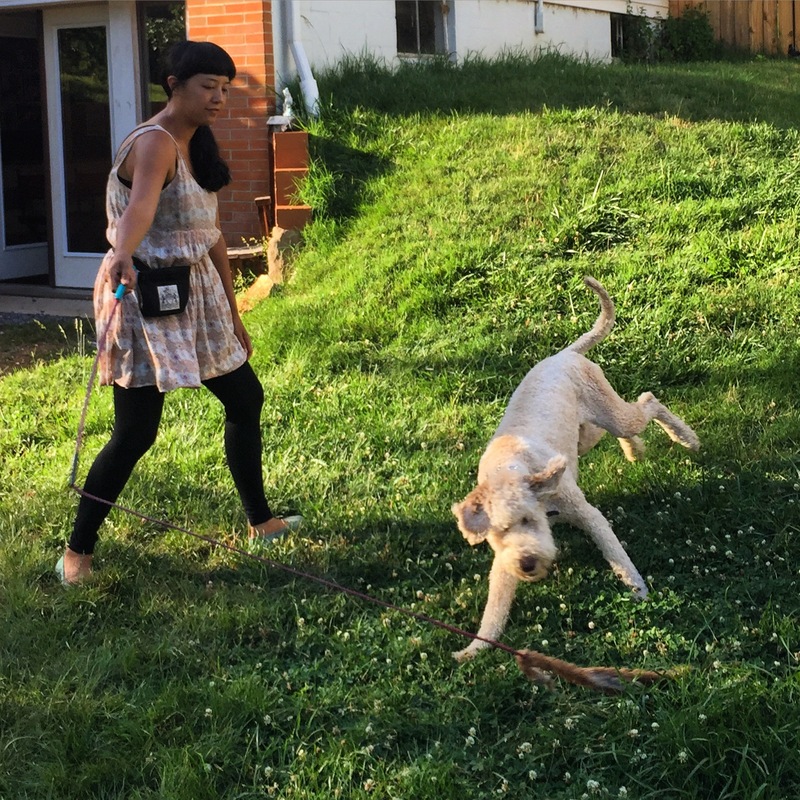 Rose and her guardian playing some fetch. 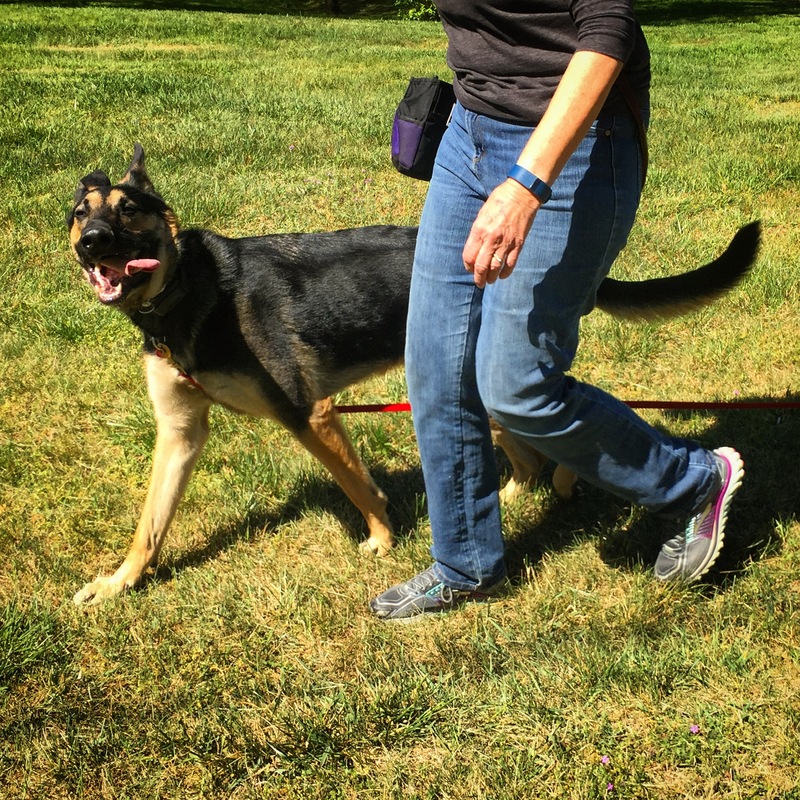 Sydney used to be highly reactive to other dogs before her Residency course. 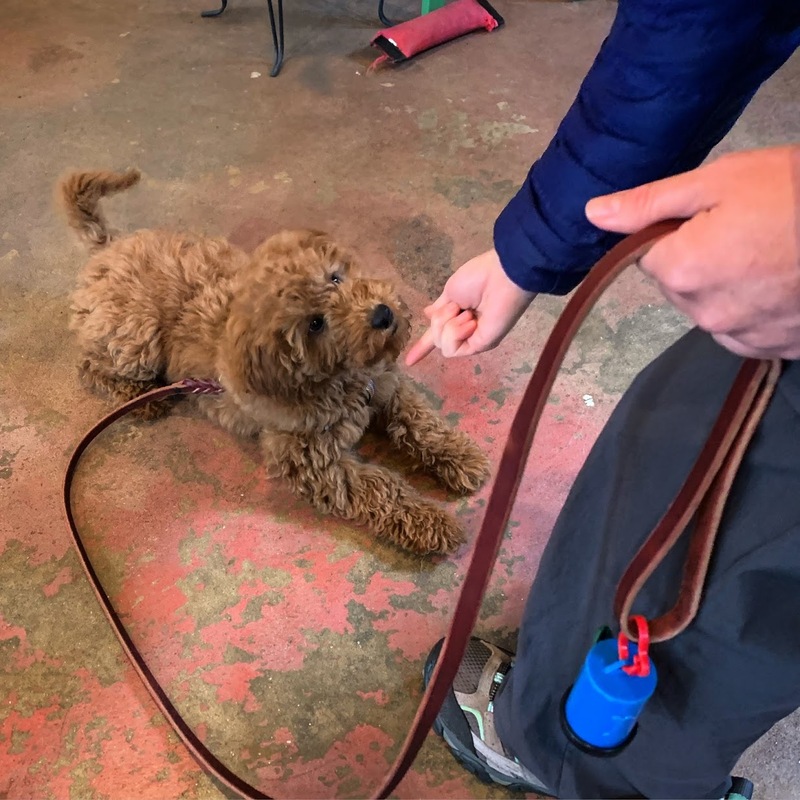 Merlin practicing a down stay request during his Kabler training. 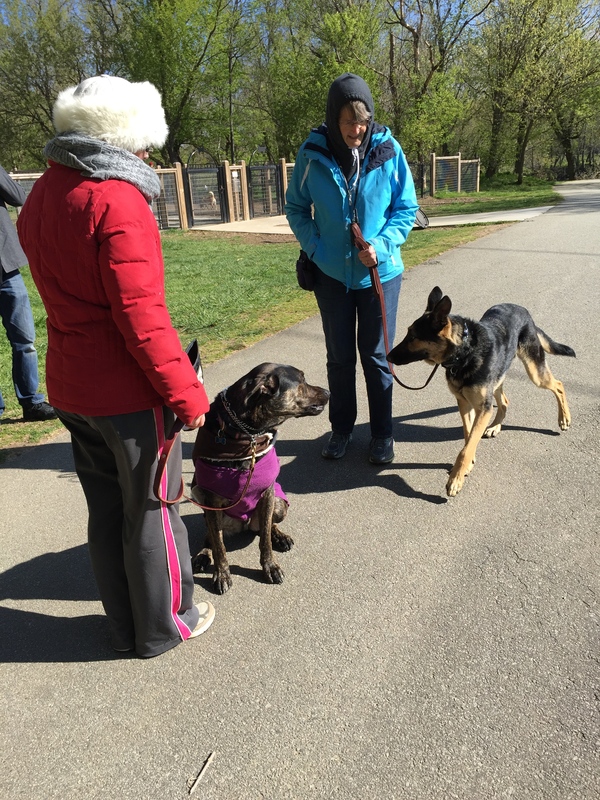 Thor and Vinka are easy to walk after Kabler training. 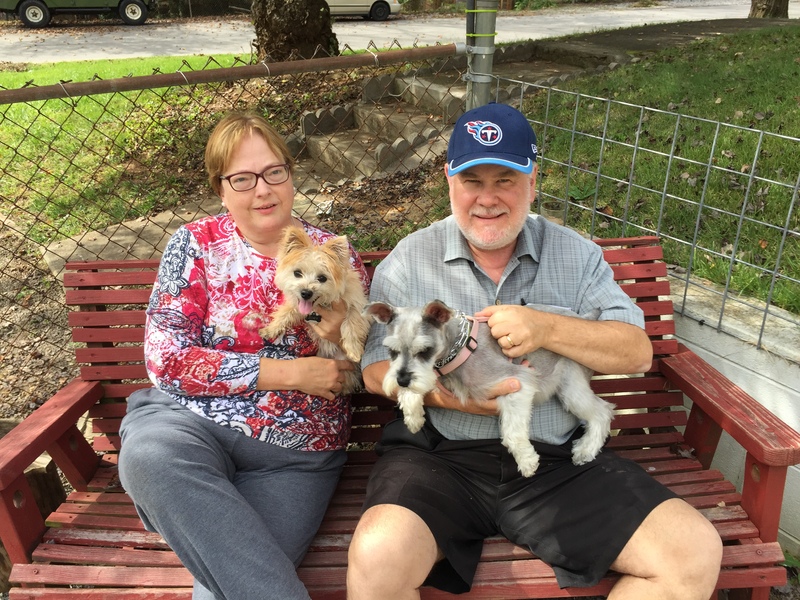 Daisy and Zoey can be a happy family after Kabler training. 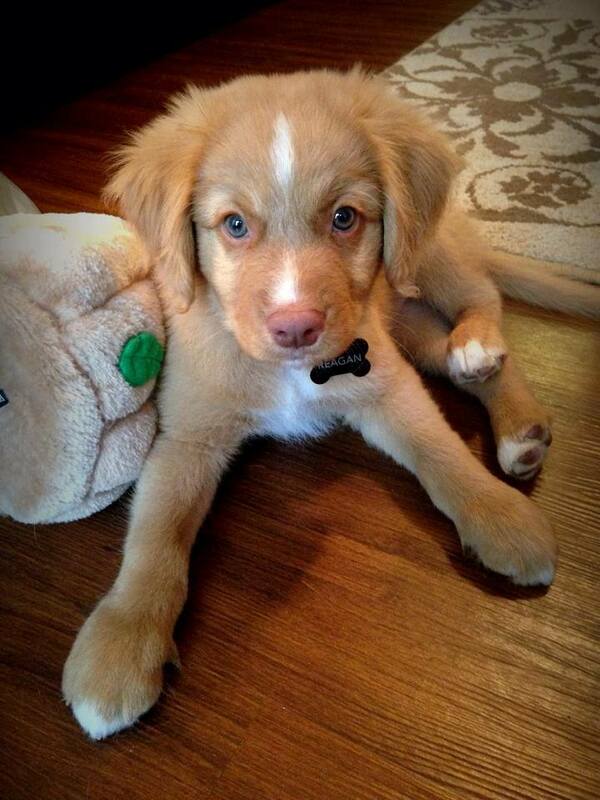 Nova Scotia Duck Tolling Retriever pup Reagan. 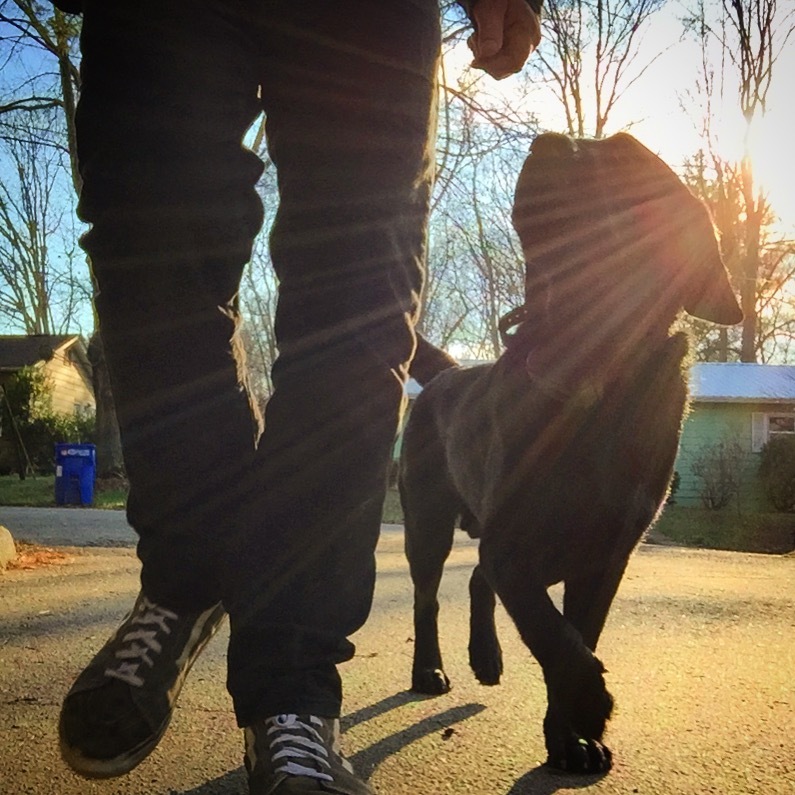 Retrieve fun with Black Lab Jackson after obedience practice. 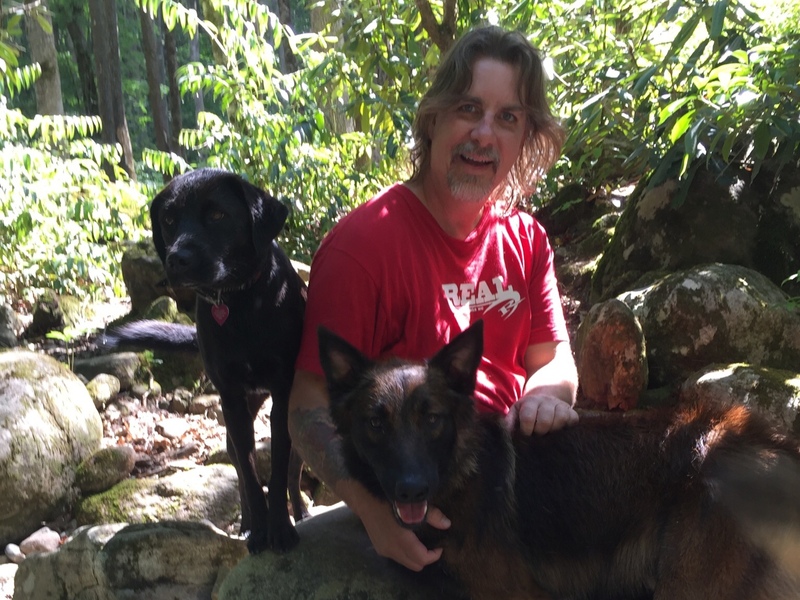 David working with Ruby and her Guardian on a motivational recall request. 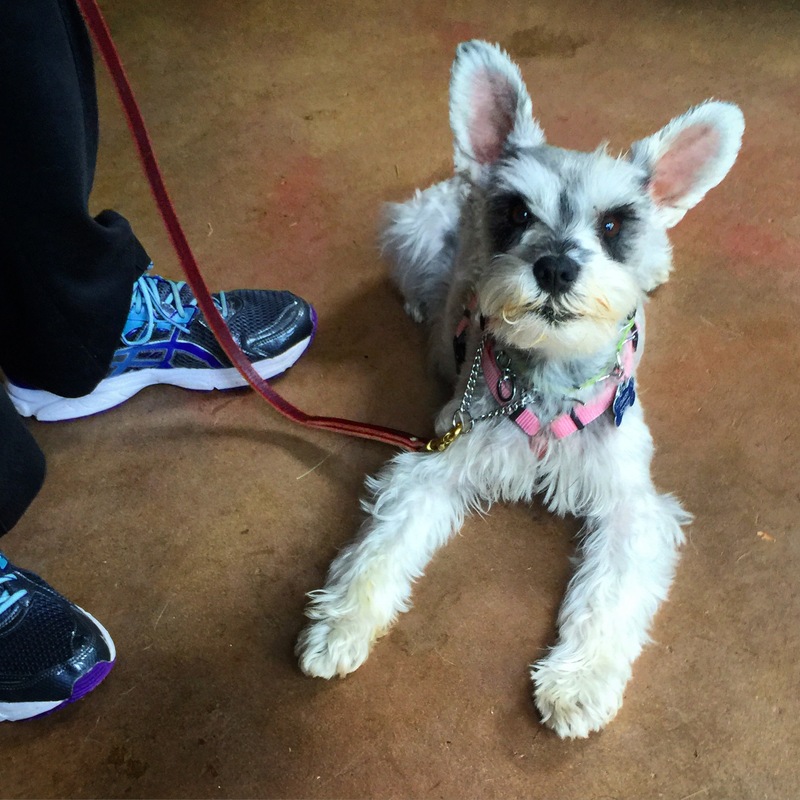 The whole family is proud of Poppy during her graduation from the Kabler Puppy Course. 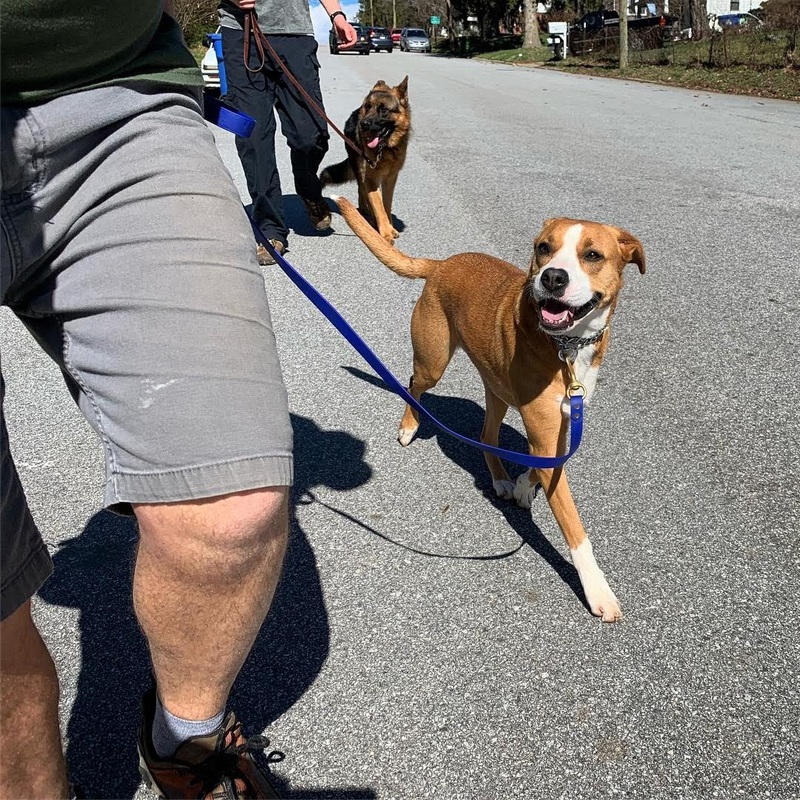 Danny learning to excitedly follow his Guardian. 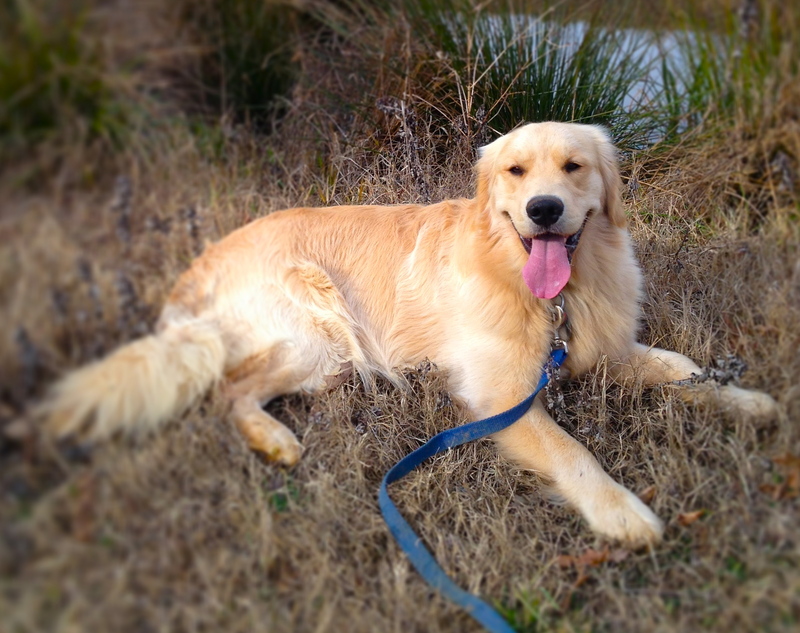 Goldennoodle puppy Edie practicing her down stay. 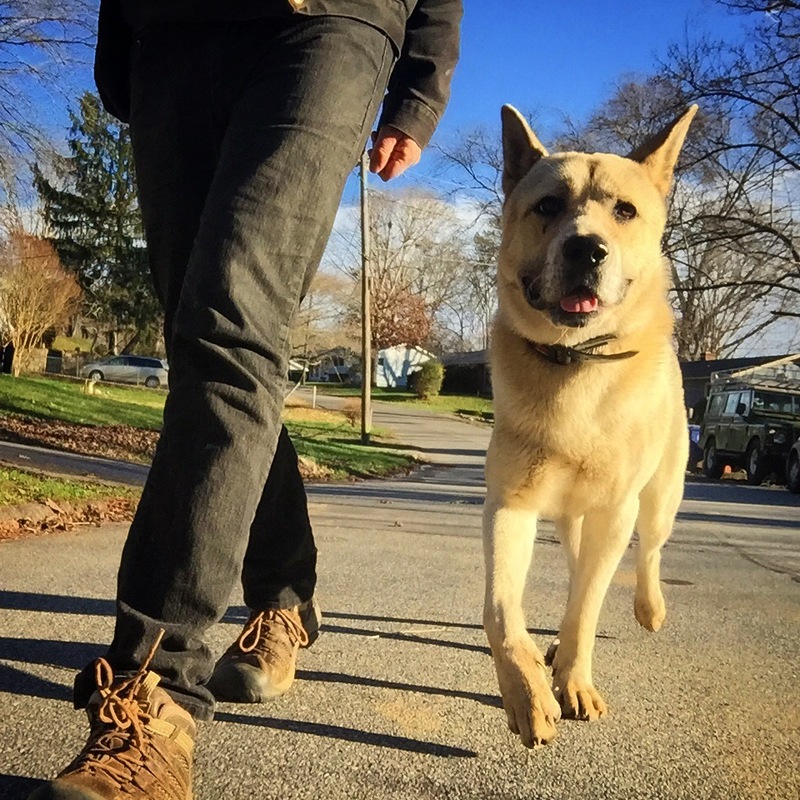 Leo and his guardian practicing their long line walking skills. 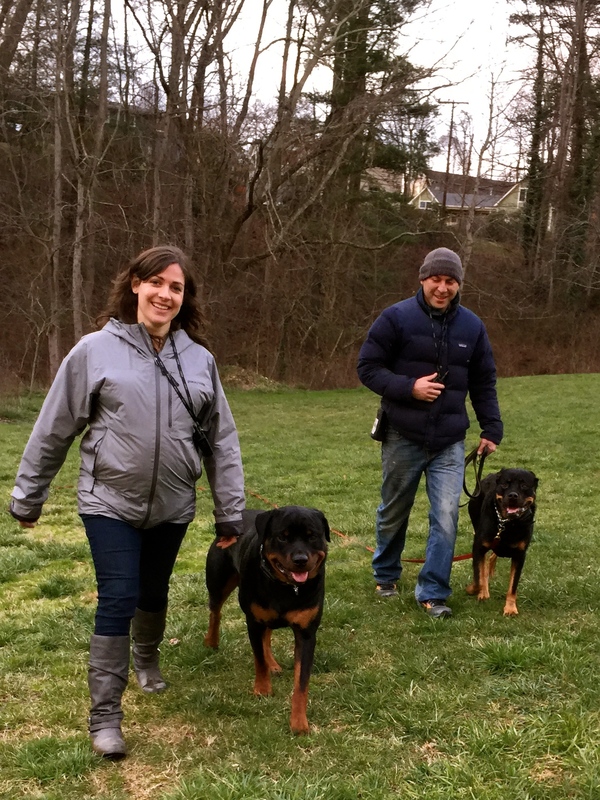 Happy guardians out practicing Buck and Sophia’s walk in their off leash obedience course. 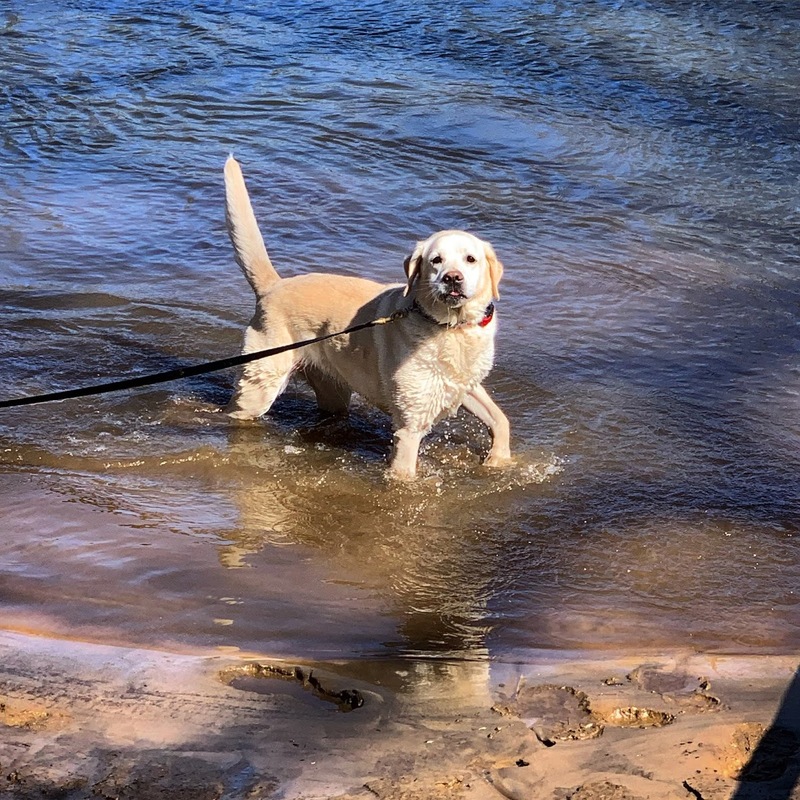 Yellow Lab Harper taking a break from obedience practice. 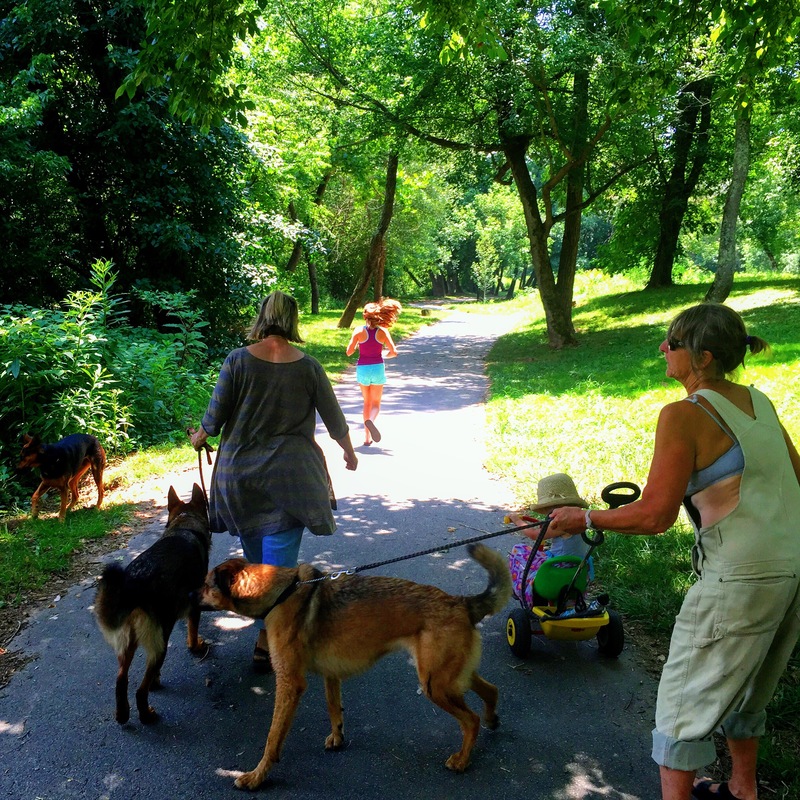 Huck and Guardian navigating the chaos confidently on a loose leash during his go home weekend. 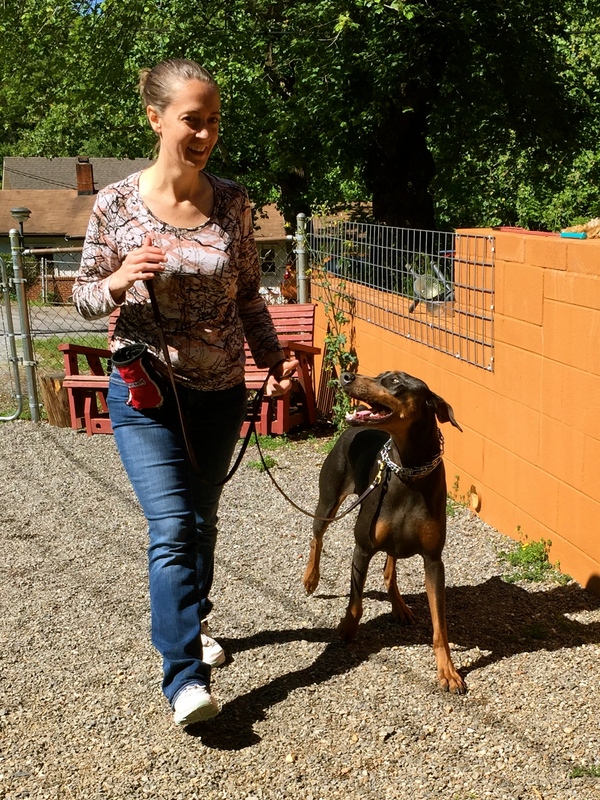 Loose leash practice with Dobie Lucy. 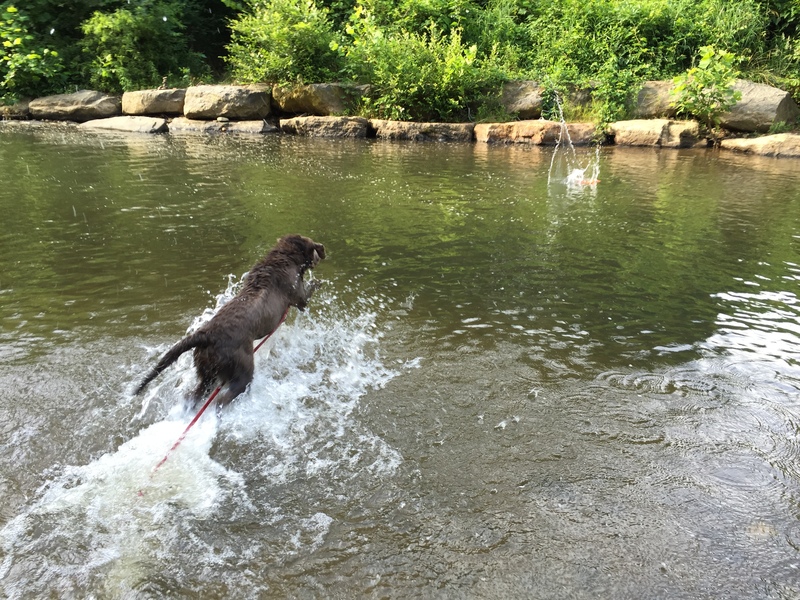 Ollie learning to charge it while retrieving his toy during a Yearling course swim session. 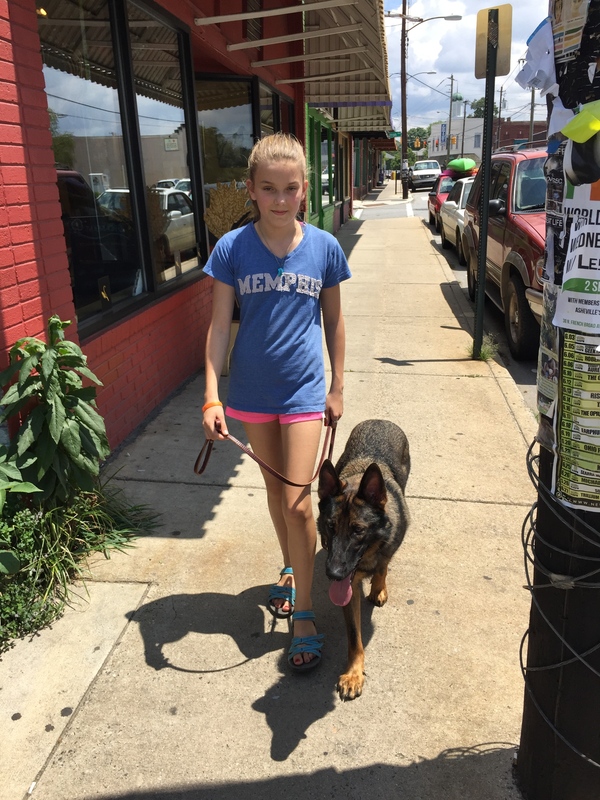 Residency graduate German Shepherd Huck and his young guardian out practicing an aligned walk in the city environment. 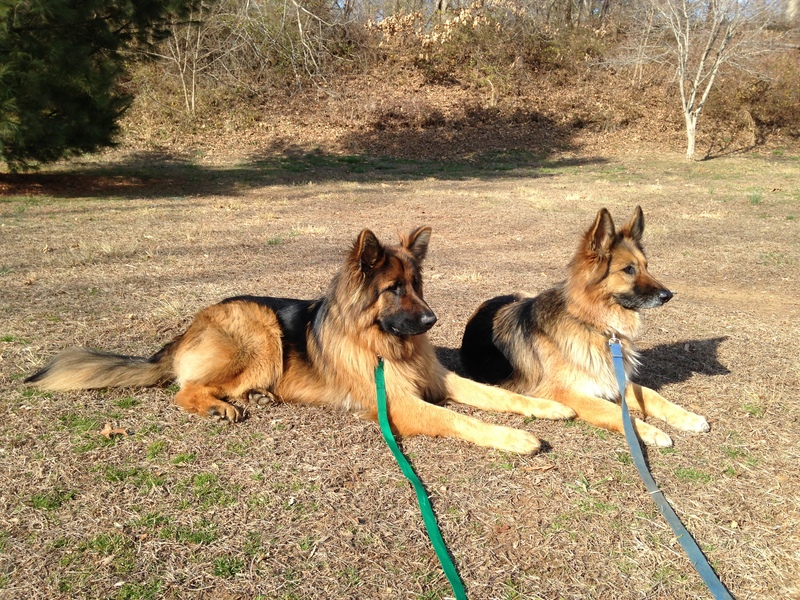 Mattie and Gidget are much calmer and well behaved after their Kabler training. 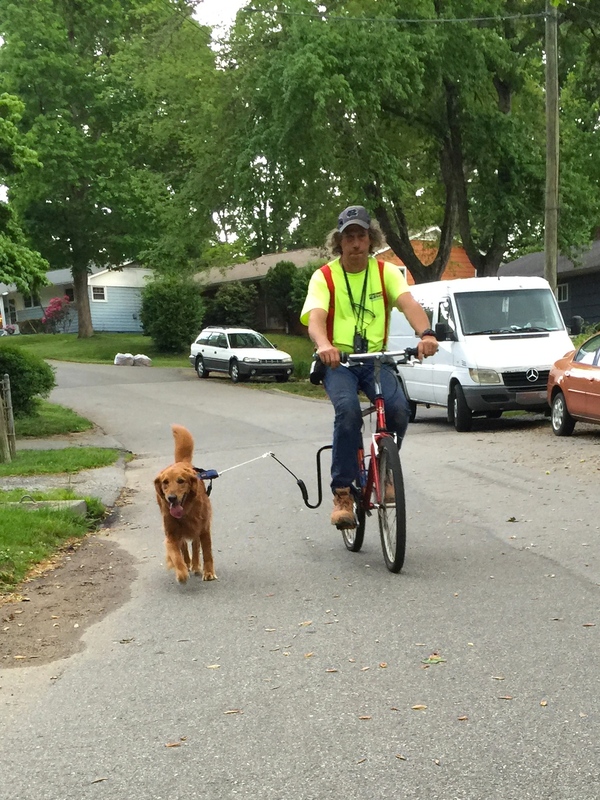 David out cruising with his Husky mix Daisy. 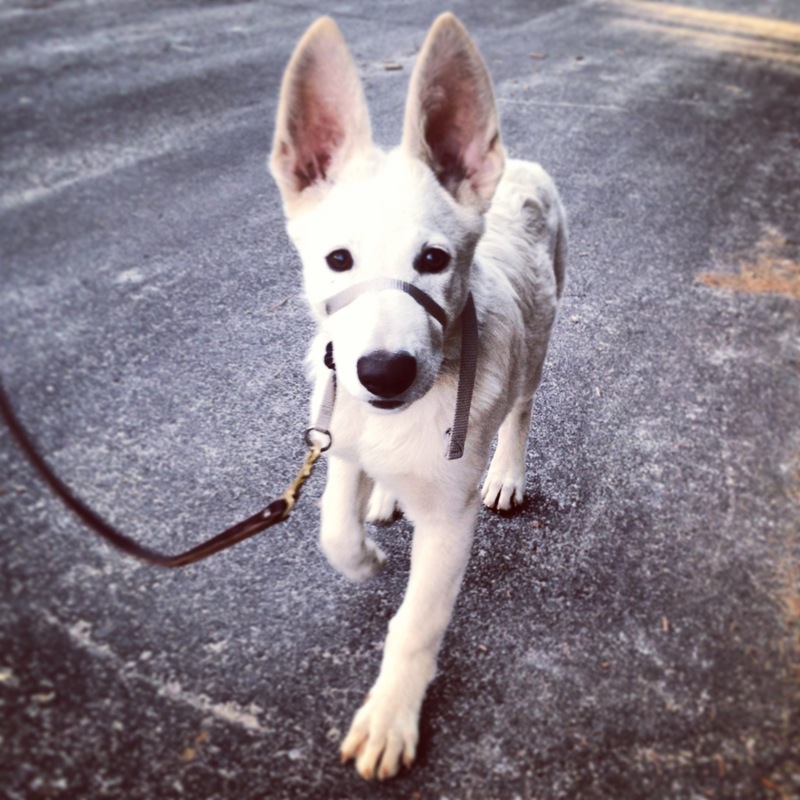 German Shepherd pup, Tundra, practicing his leash walking skills. 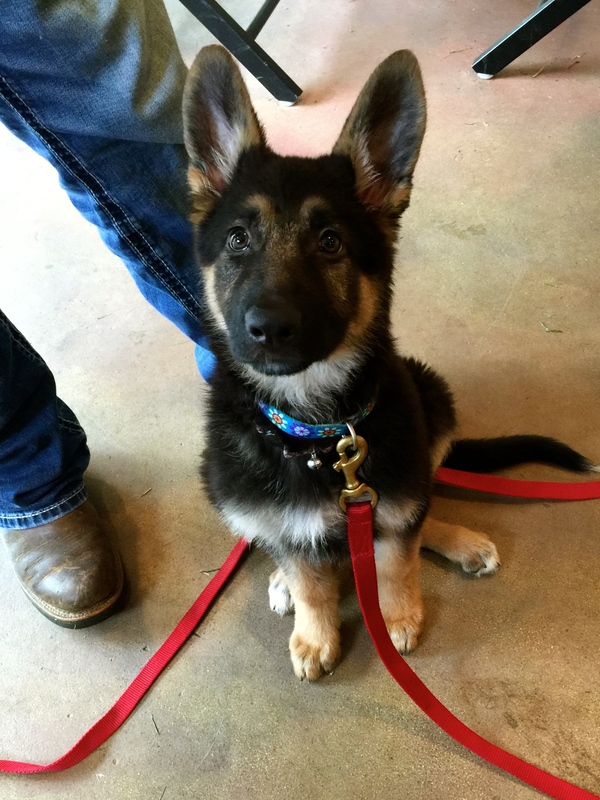 Look at those ears! 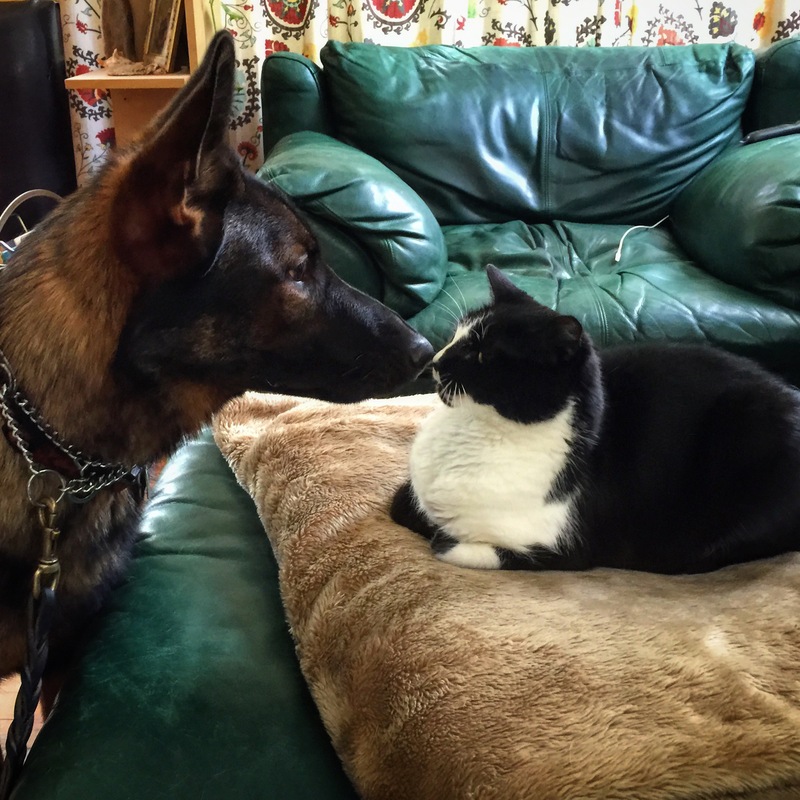 Residency guest Huck meeting Kabler kitty Oki. 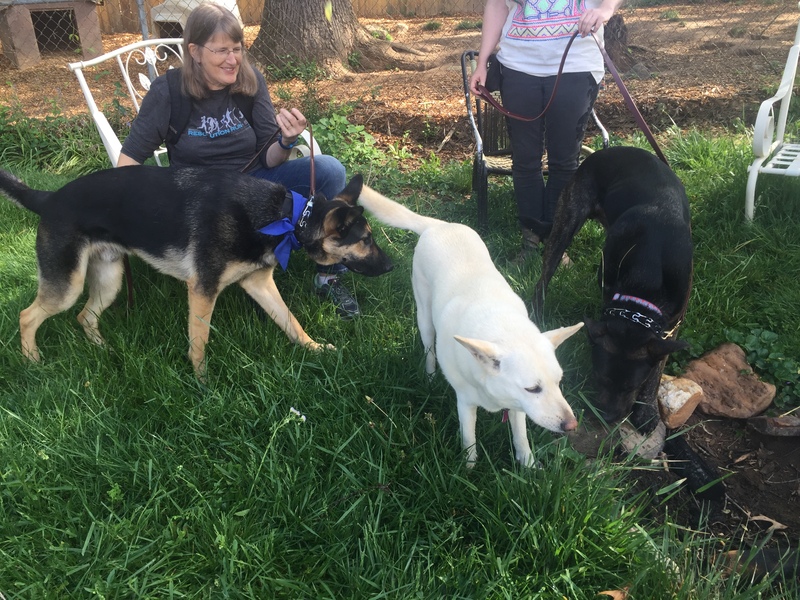 Tundra reunited with his family after his Kabler Residency. 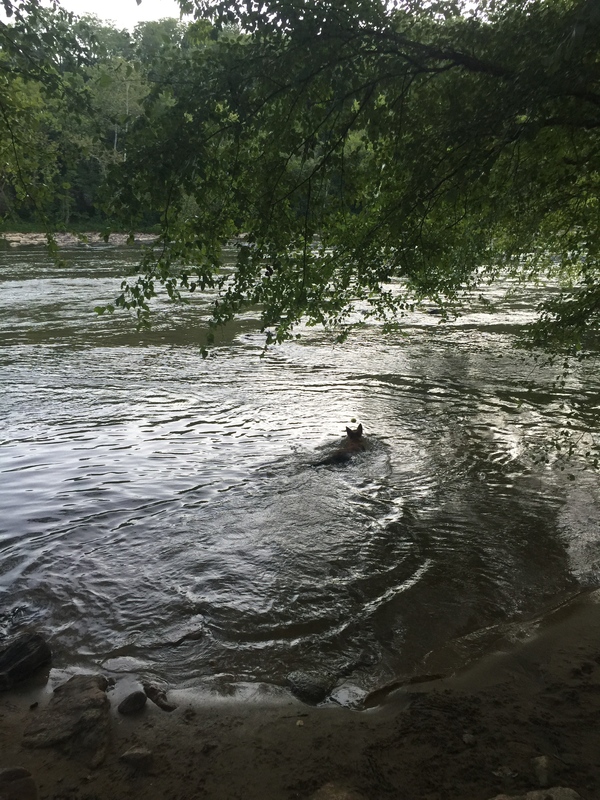 David out on a swimming session with residency guest Rose and his Malinois Fury. 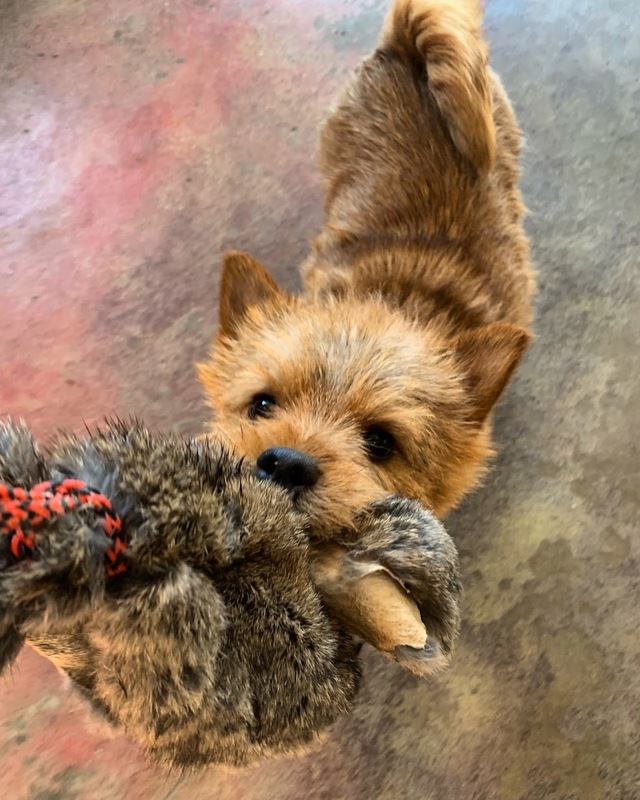 Frank’s Guardian rewards him with an action packed game of tug. 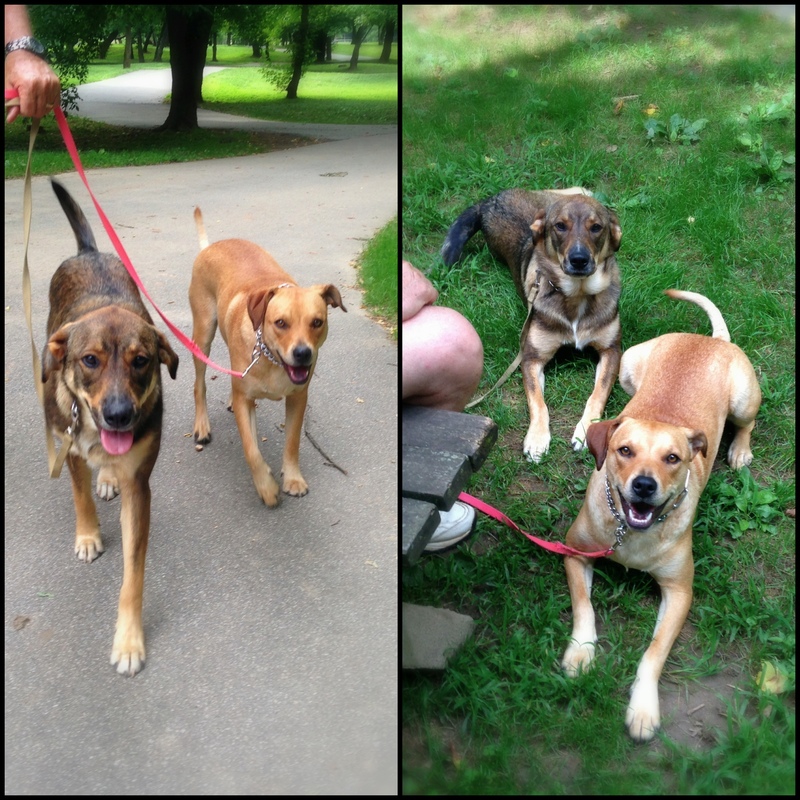 Tauga and Smalls having fun practicing long line down stays during their On Leash Training Course. 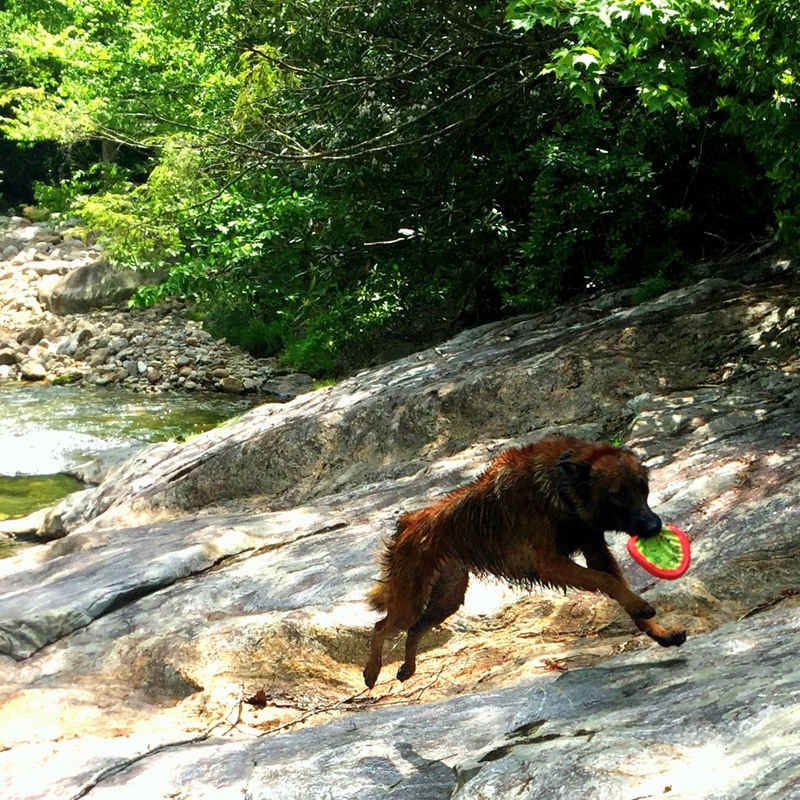 Fury racing back to me from the swimming hole with his frisbee during a successful retrieve. 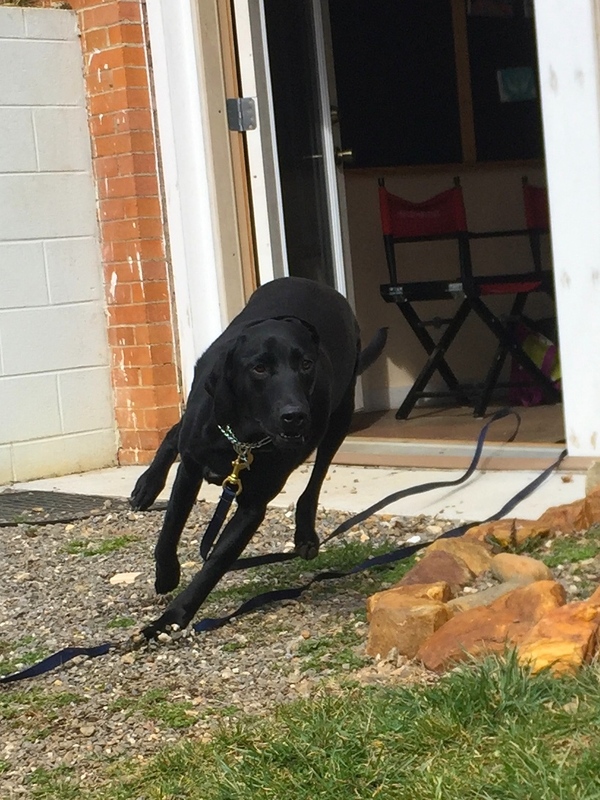 Truffles having a fun game of retrieve in the Kabler yard during his Residency course. 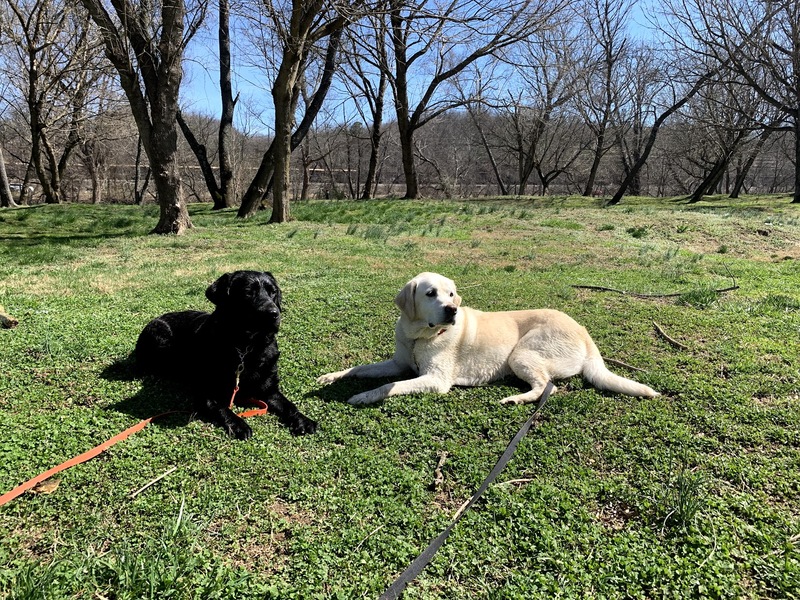 Labrador Retrievers Jackson and Harper practicing their long down stay during an advanced Off Leash Training Session. 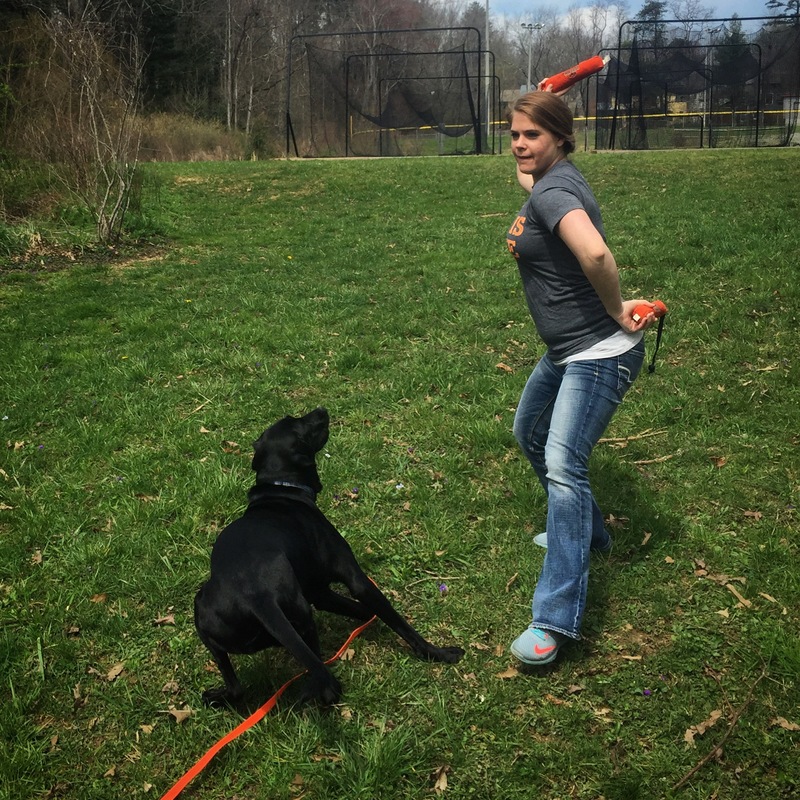 Kabler Residency graduate Rose retrieving her tennie. 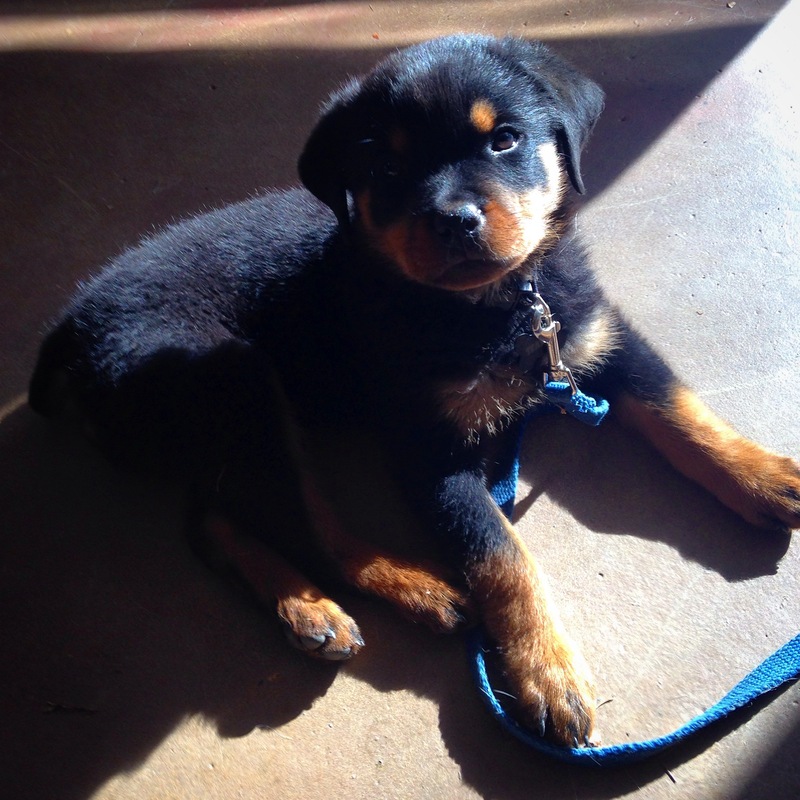 Reagan is a perfect puppy– found through the Kabler Breed Search. 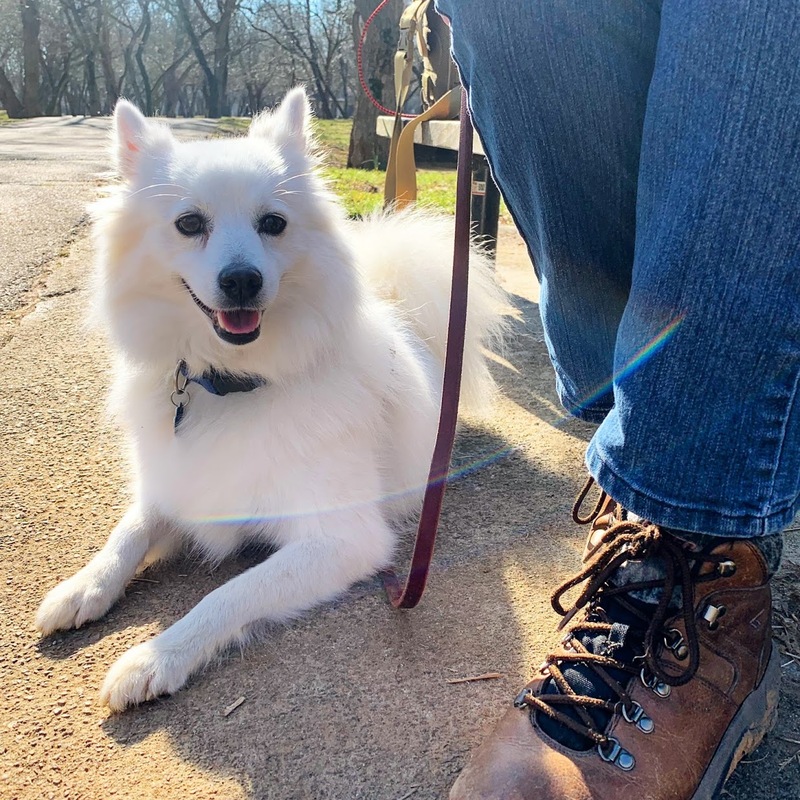 American Eskimo Dakota practicing his long down stay. 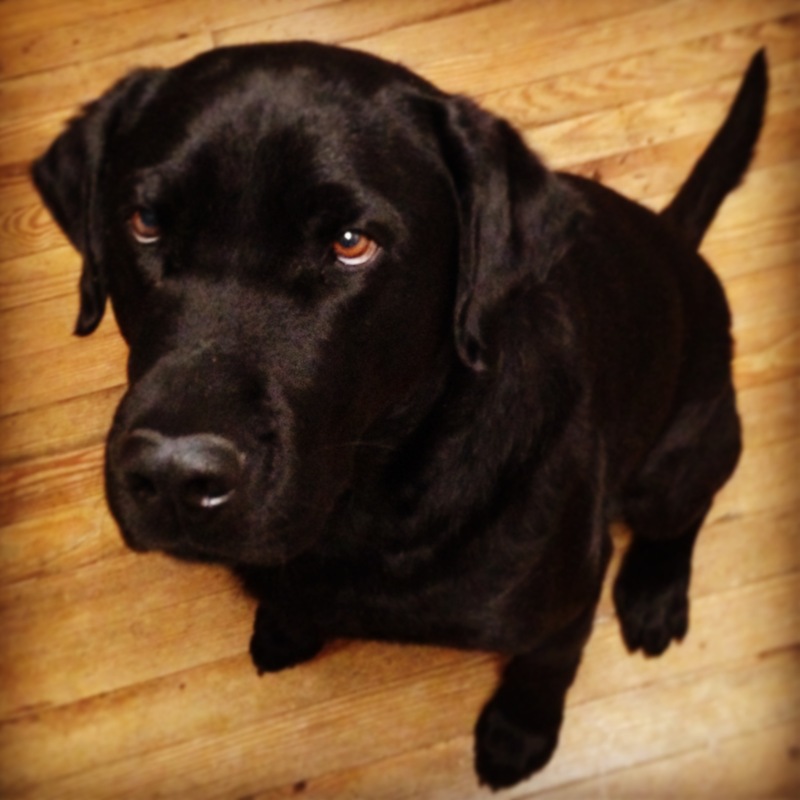 Hutch is a gorgeous Eastern Shore Black Lab. 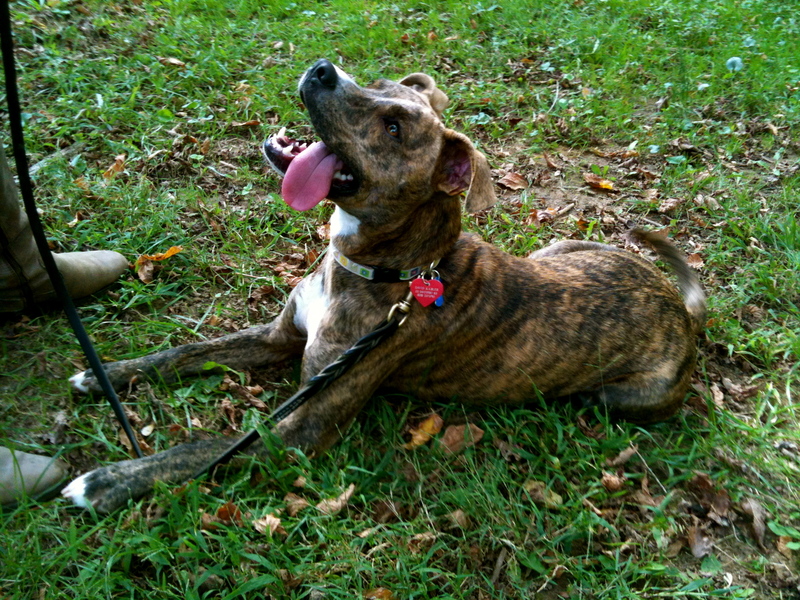 Boxer mix Sydney happy after obedience practice during Residency training course. 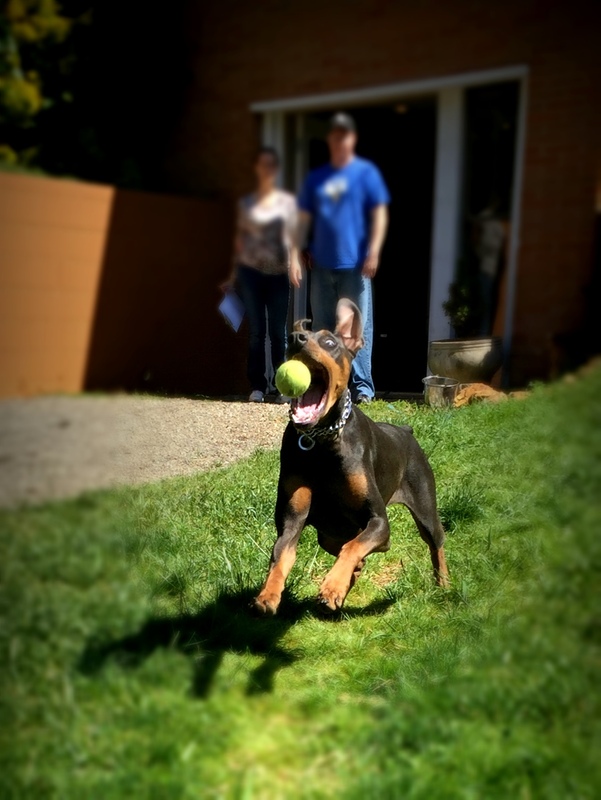 Doberman Lucy having a retrieve after obedience. 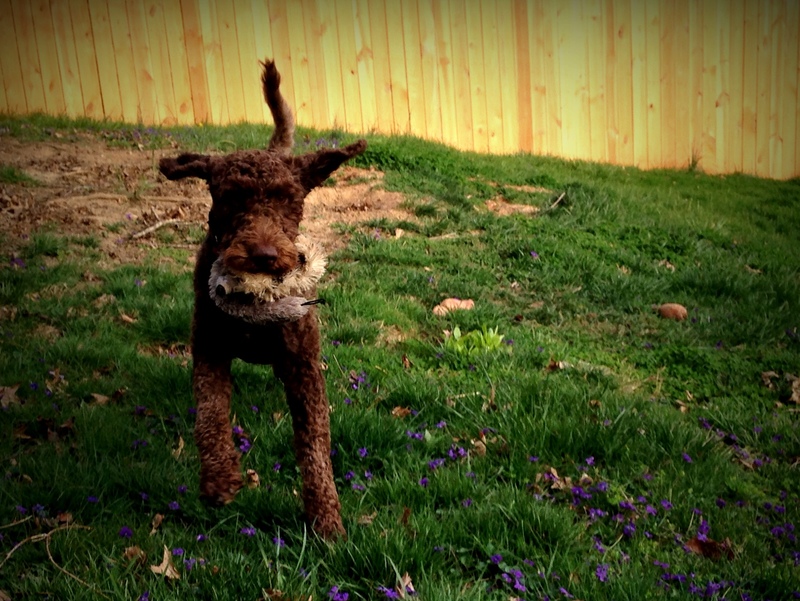 Goldendoodle Zeppi practicing some fun games after a fun training session on the Kabler training field. 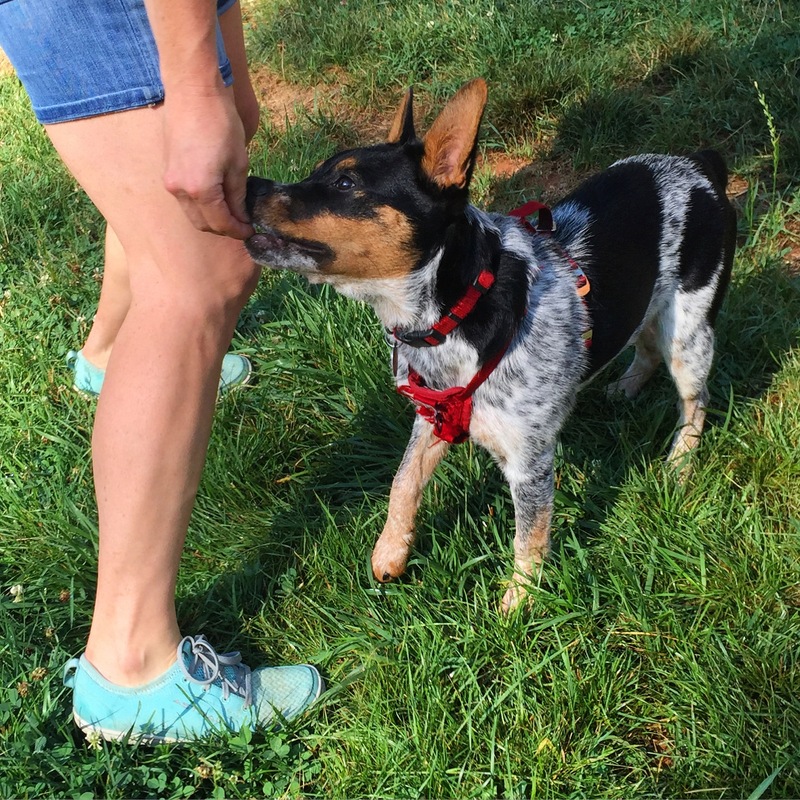 Yearling Fury practicing a down stay. 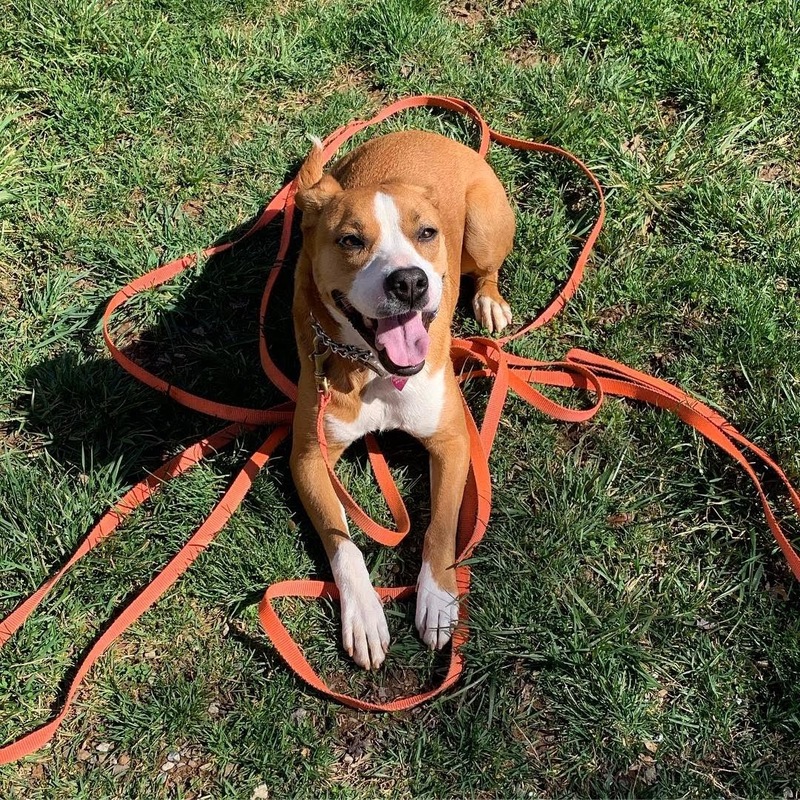 Once shy Cornbread is learning to come out of her shell during her obedience course. 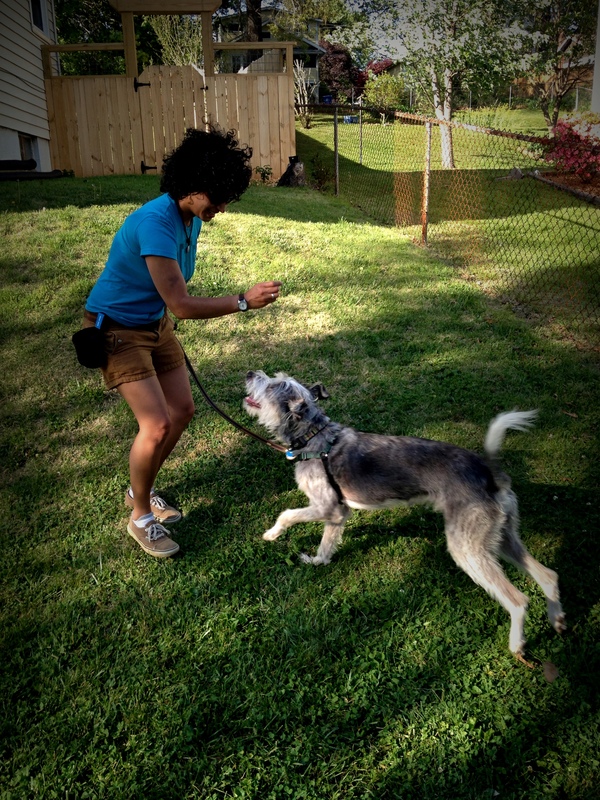 Plenty of playtime, fresh air, and exercise every day during your dogs Residency. 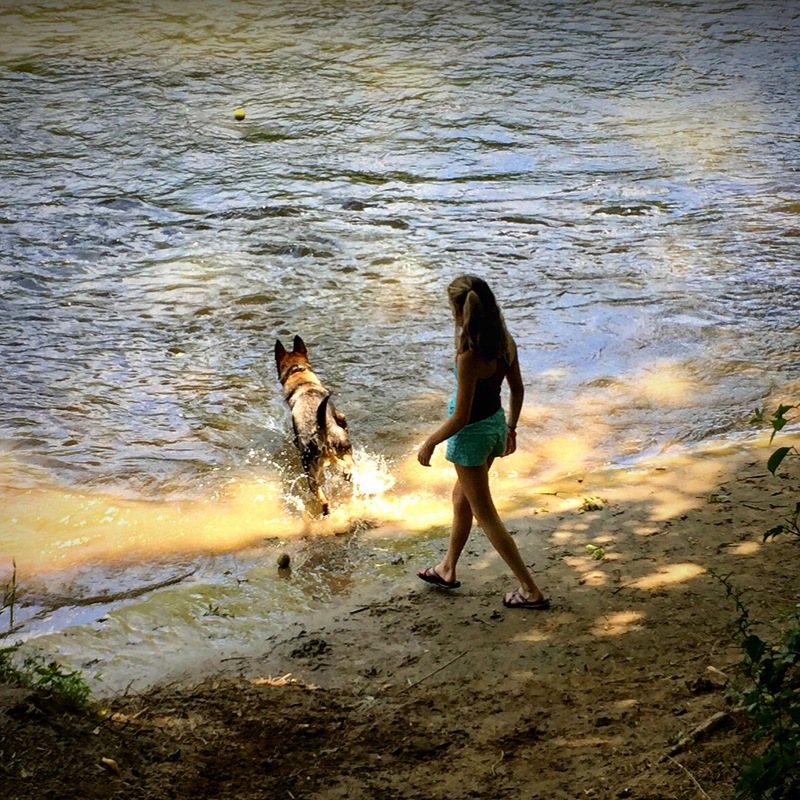 Teaching yearling Ollie to swim and retrieve in a private obedience session. 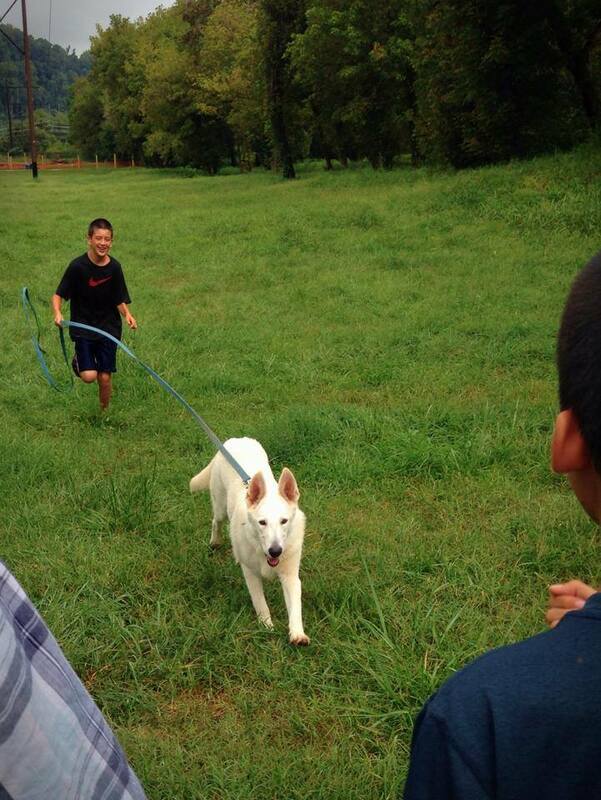 Untethered Graduate Akita Taku practicing his off leash heeling skills. 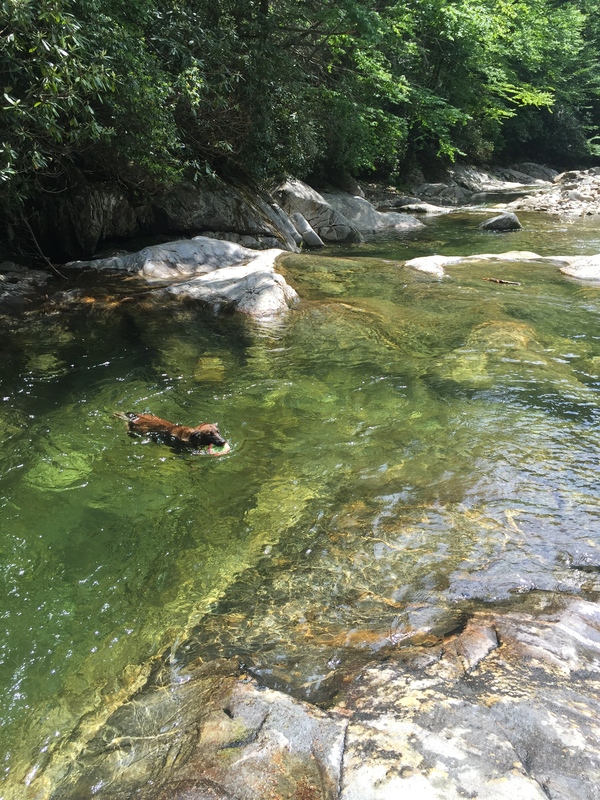 Fury water retrieving while swimming in paradise. 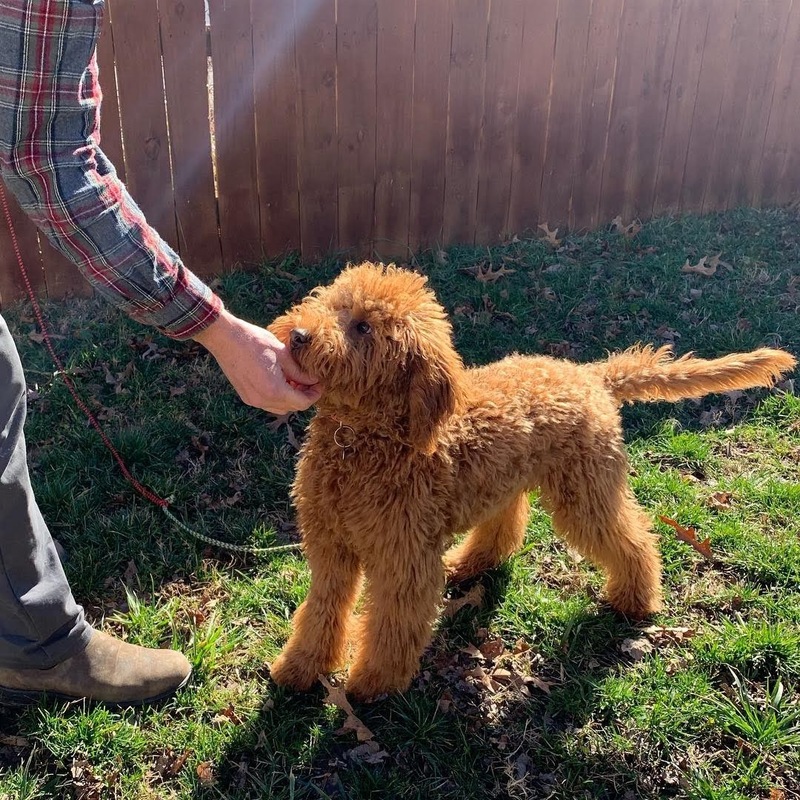 Goldendoodle Sunday learning to ‘drop it’ during a game of chase and tug. Practicing house manners in the Kabler living room during Taku, Cato, and Ollie’s Residency. 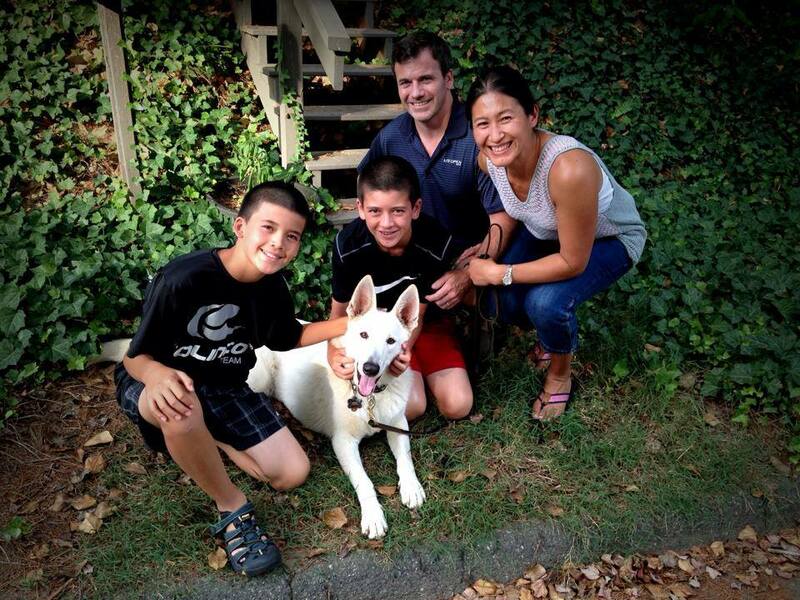 GSD Huck is so excited to be re-united with his family after his Kabler Residency. 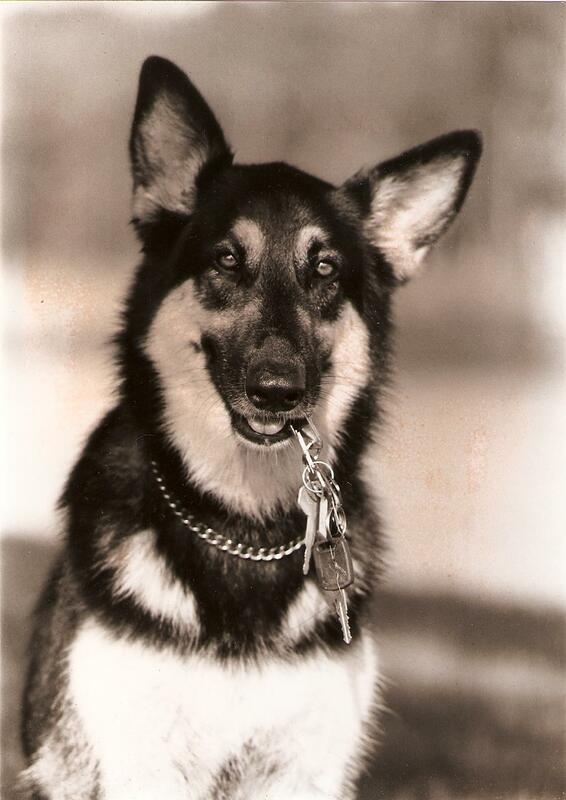 German Shepherd Maggie Kabler retrieving car keys as apart of her Assistance Dog training– Officially the best baby sitter in the world. 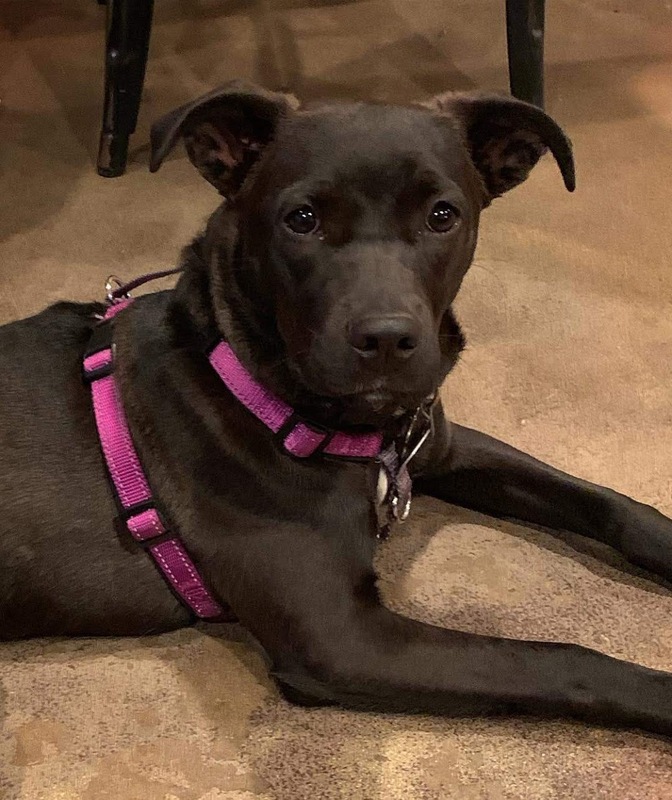 Pitbull rescue Poppy looking cute after Puppy Course training fun. 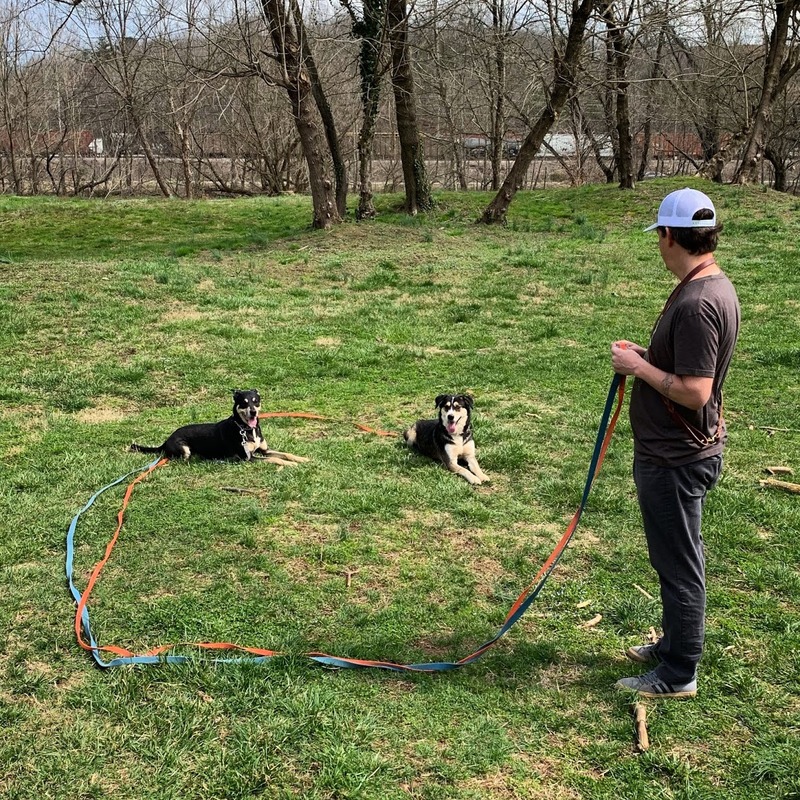 Blue Heeler Boomer and his guardian practice some fun puppy obedience exercises on the Kabler training field. 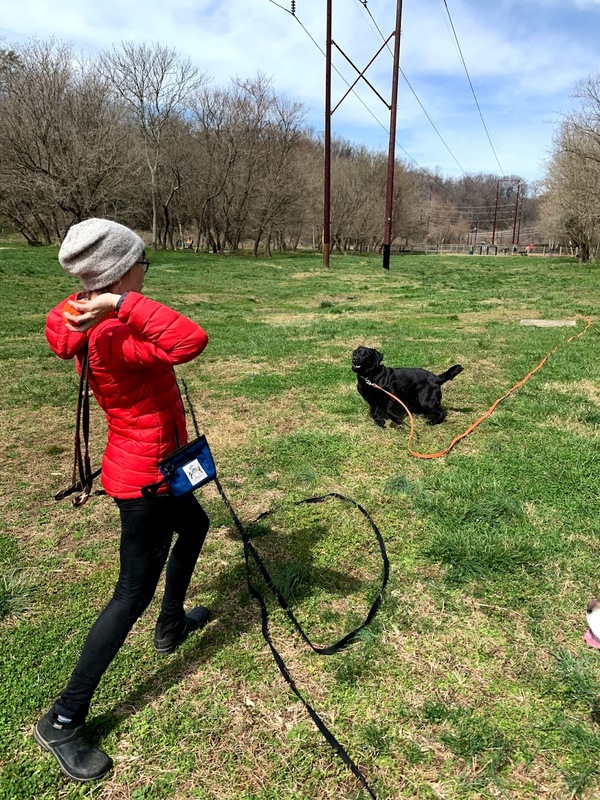 Yorkie Gryff having fun practicing his first long down stay. Teaching Ollie to love the water during his Yearling course. 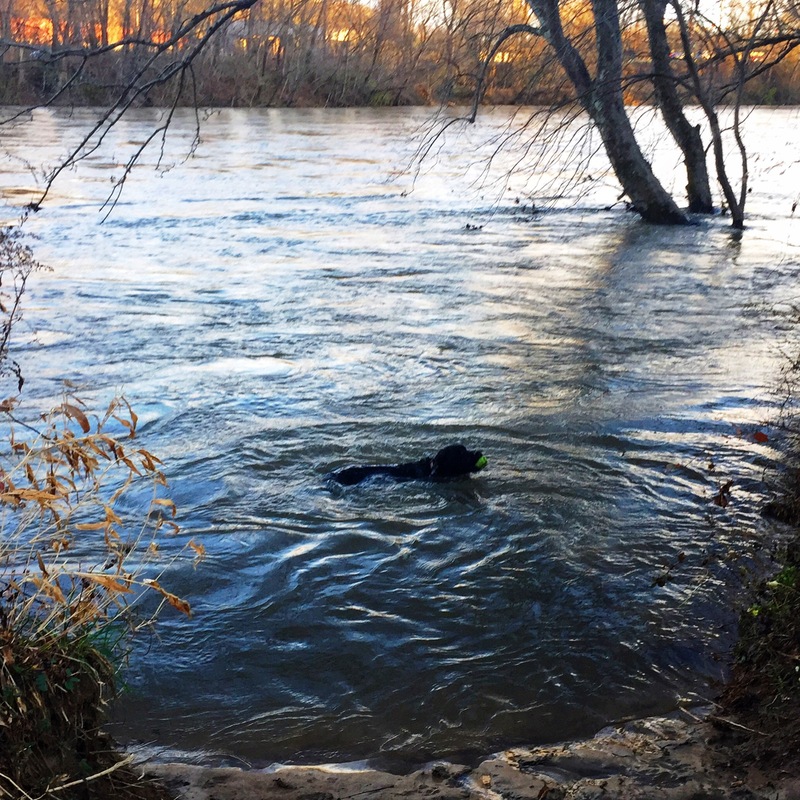 Off Lead Residency guest Cato taking a late season swim during his stay at the Kabler house. Bjorn and Hanne practice a perfect down and stay request while looking handsome and gorgeous. 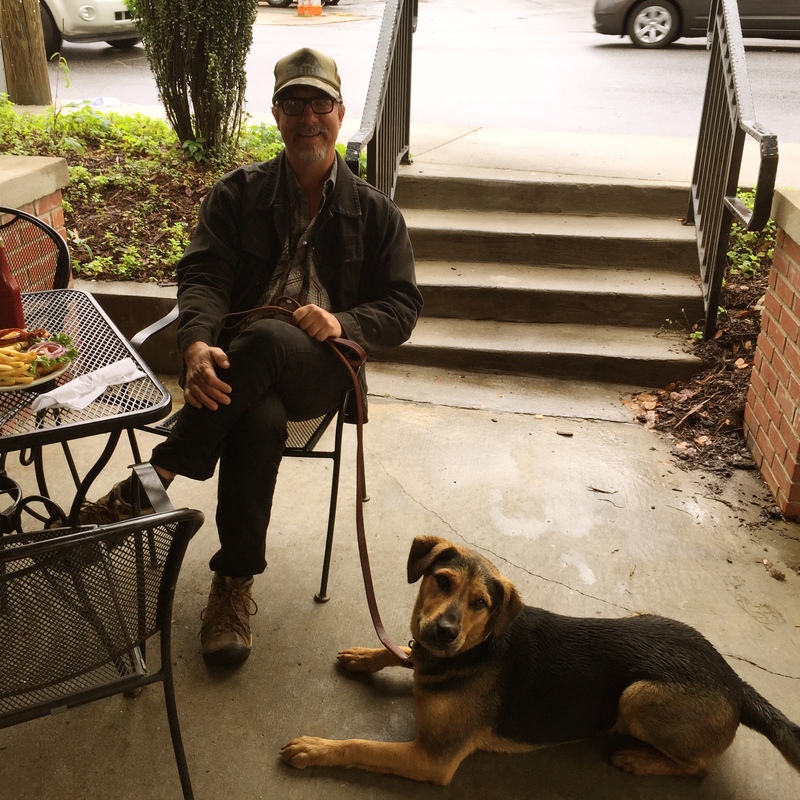 David practicing a down stay request with Residency guest Sy at a neighborhood restaurant– let’s get your dog cafe ready! 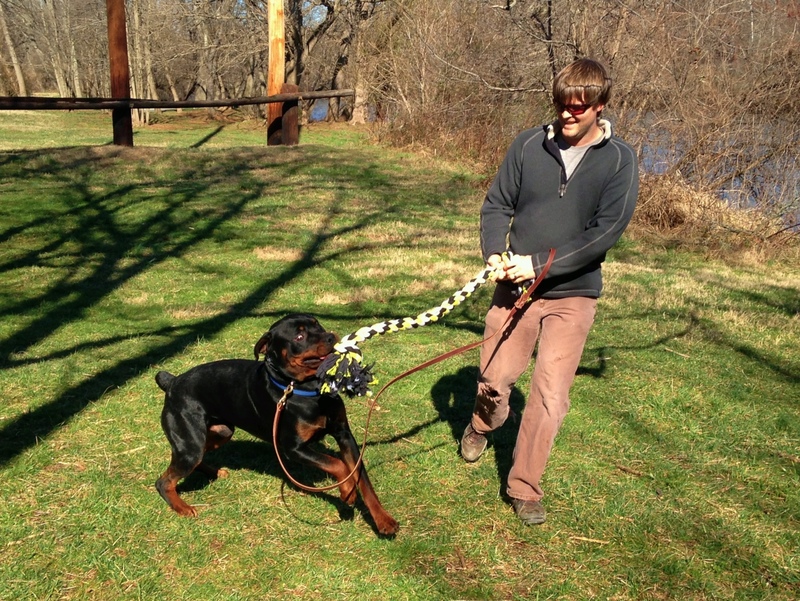 Rottweiller Frank looking good during a private session. 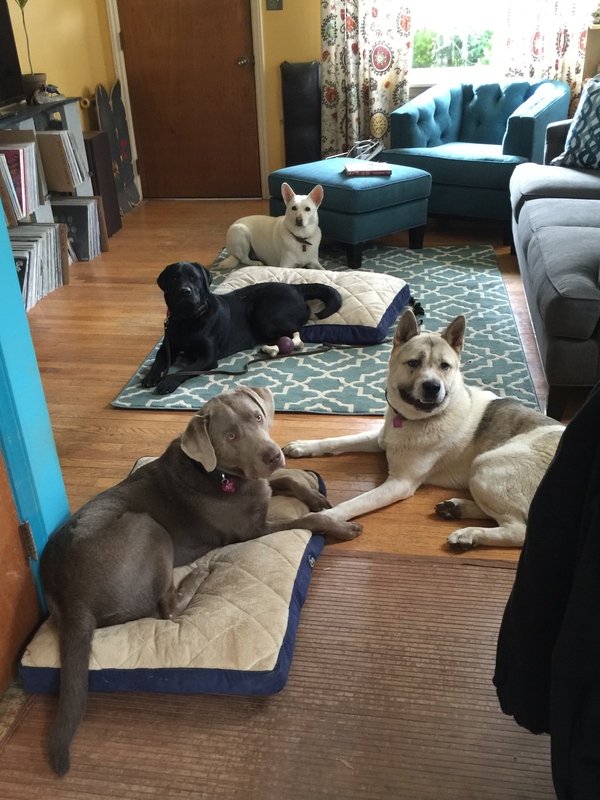 House manners in the Kabler living room with Daisy and Residency guests Cato, Taku and Ollie. 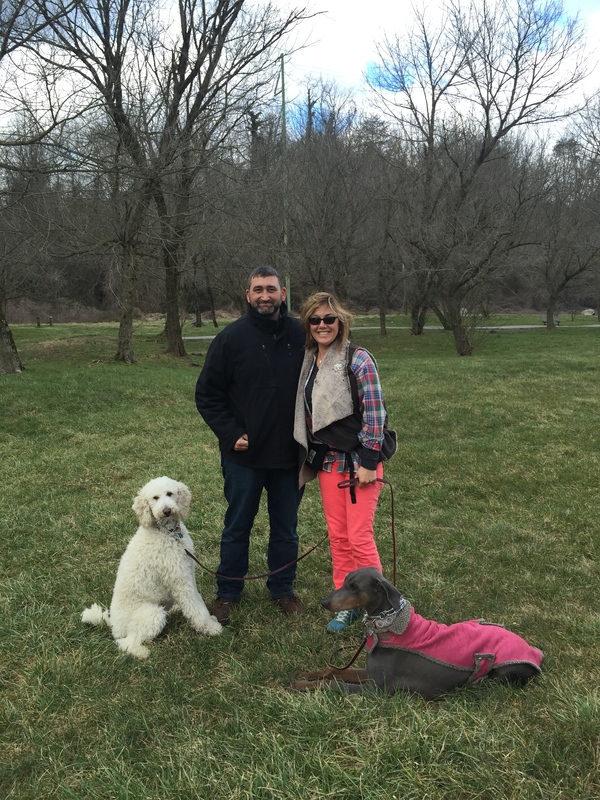 The Kabler School For Dogs training team is committed to helping dog owners solve behavioral issues. 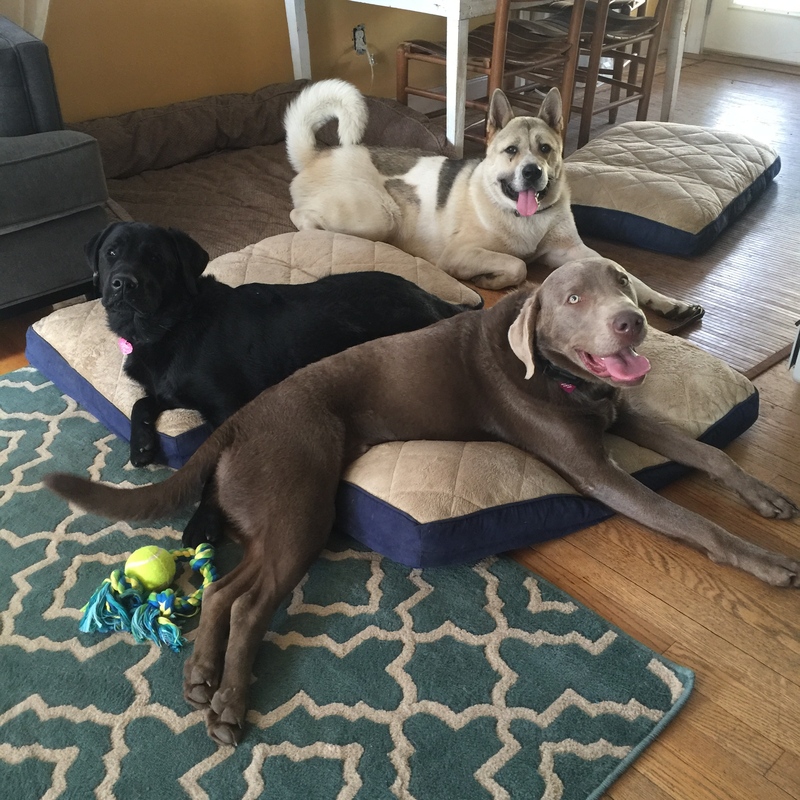 Every dog is different and it’s important to choose a trainer with a large toolbox of training skills.